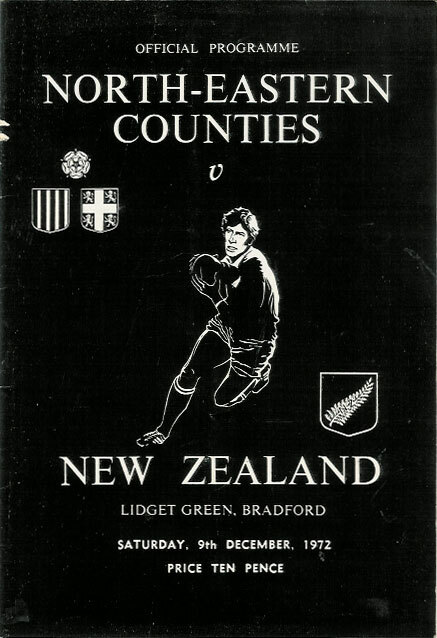 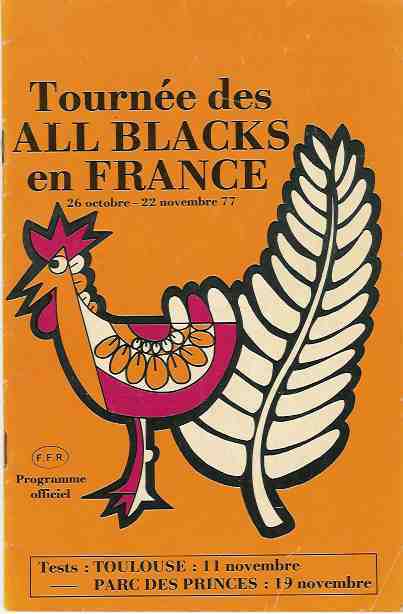 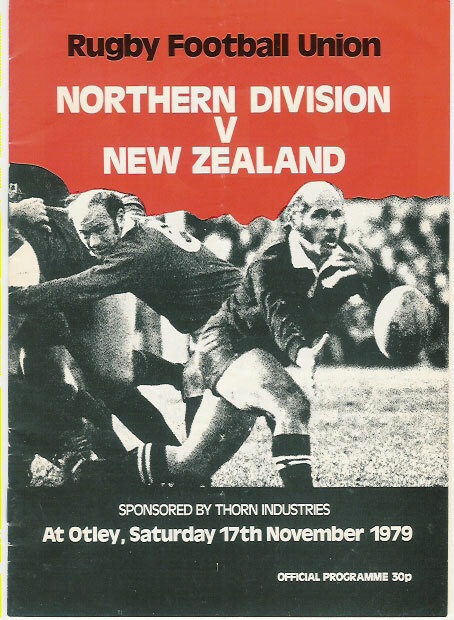 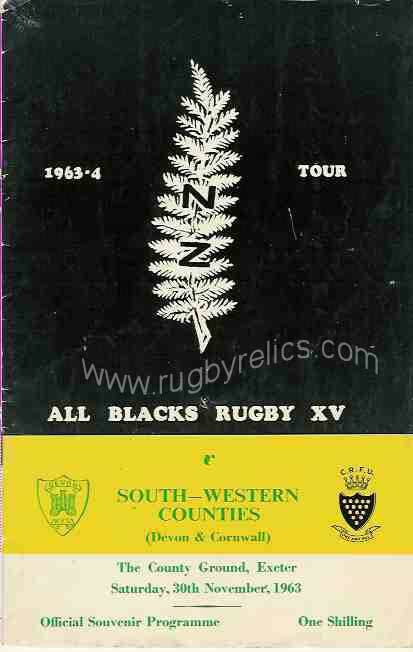 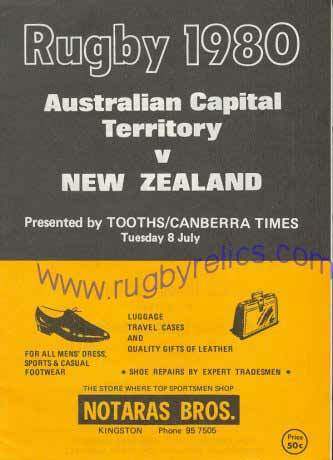 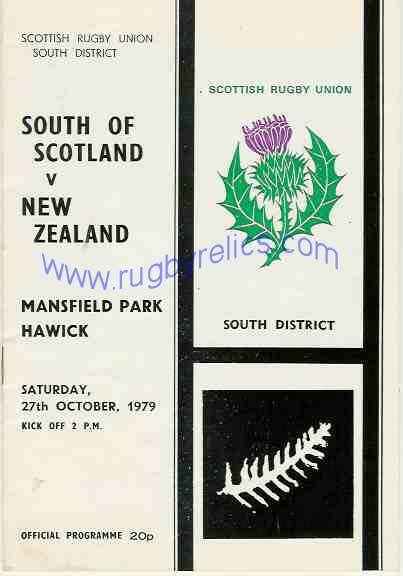 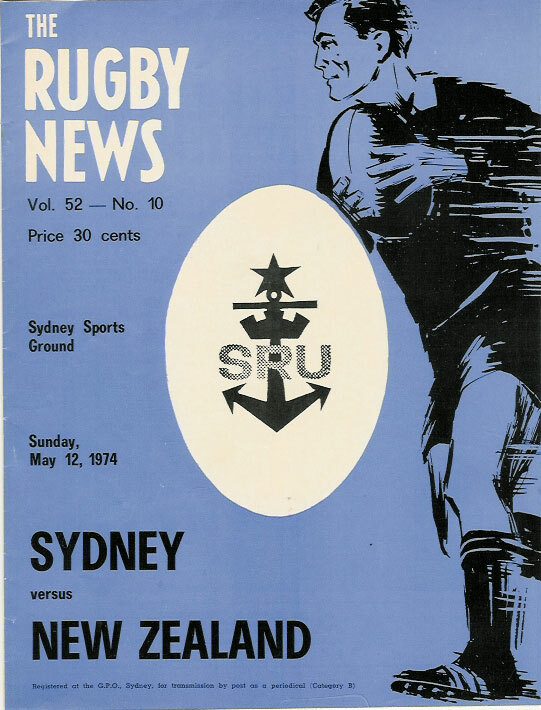 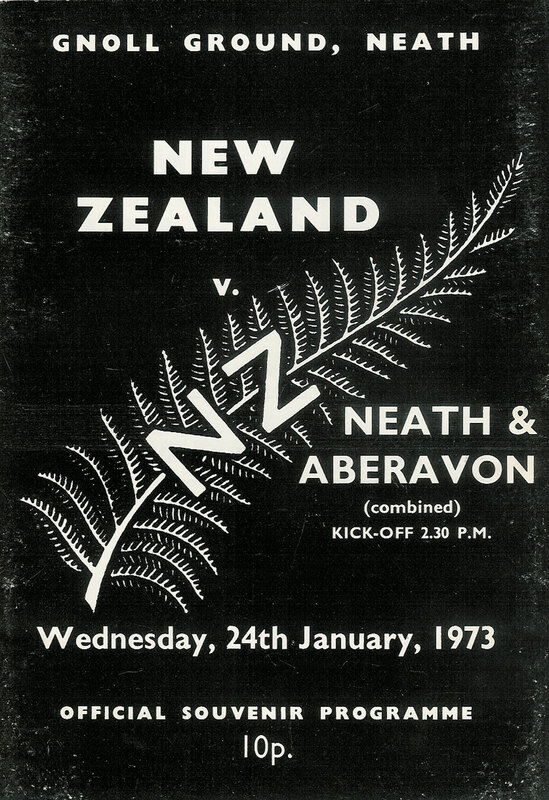 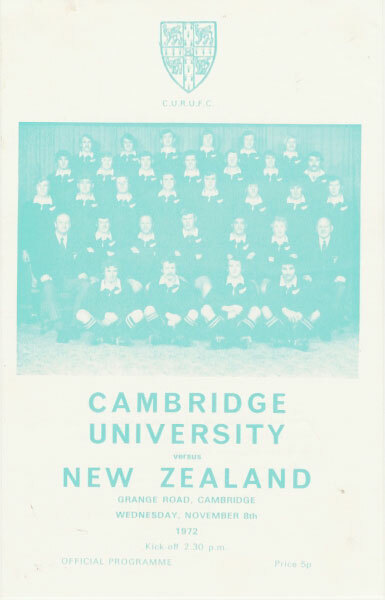 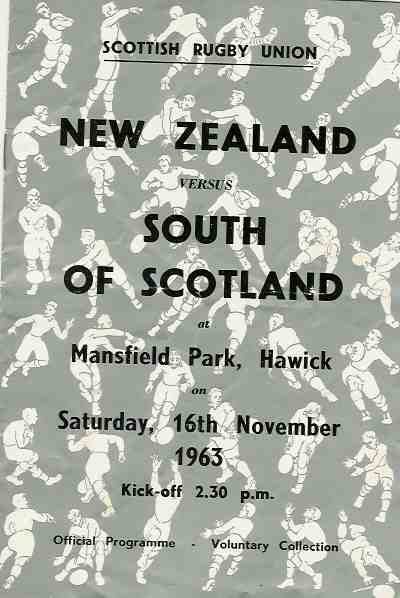 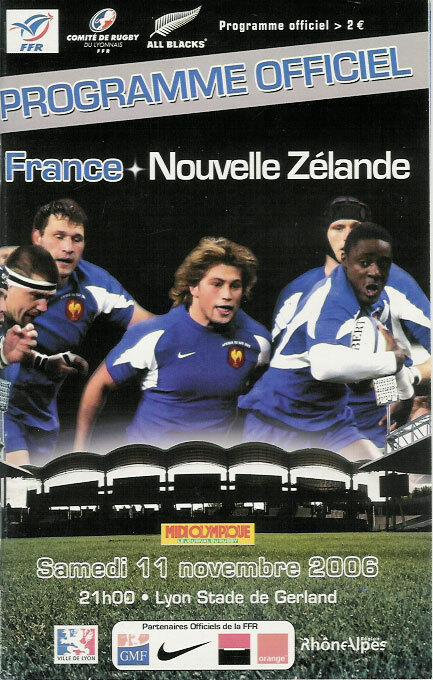 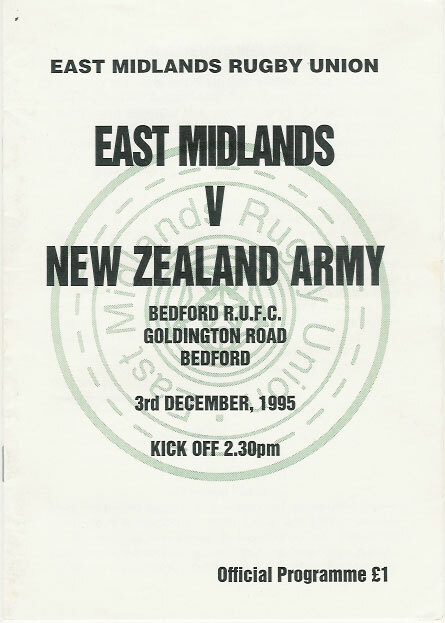 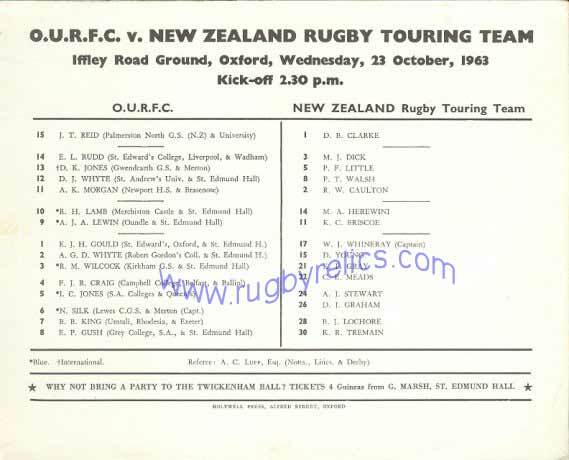 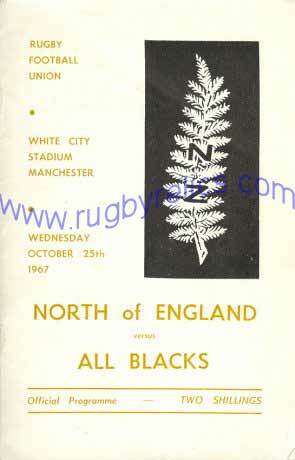 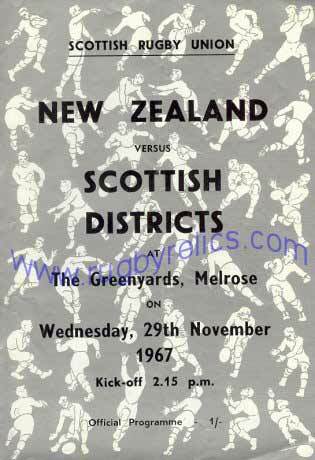 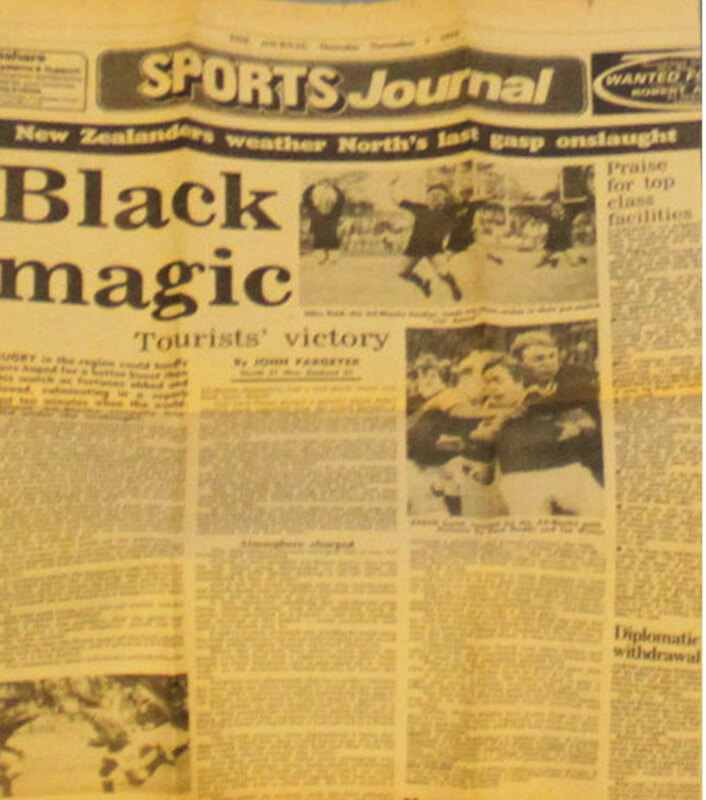 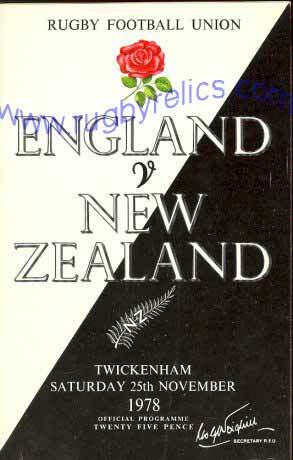 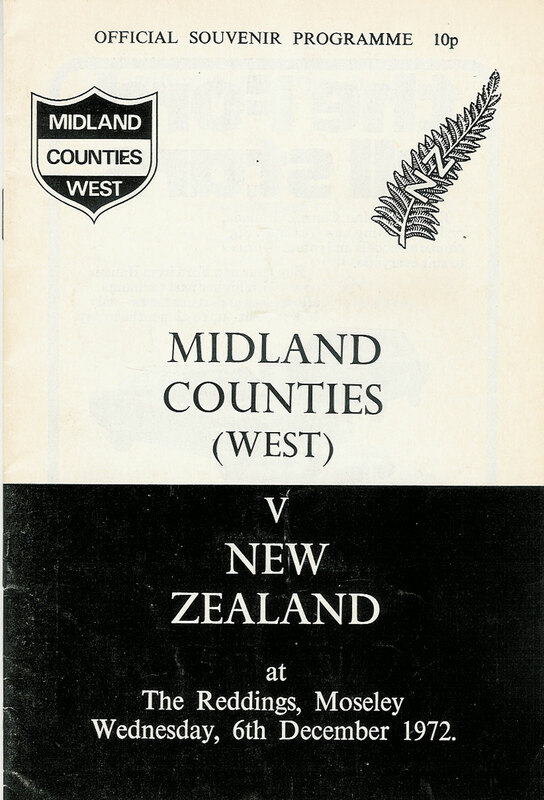 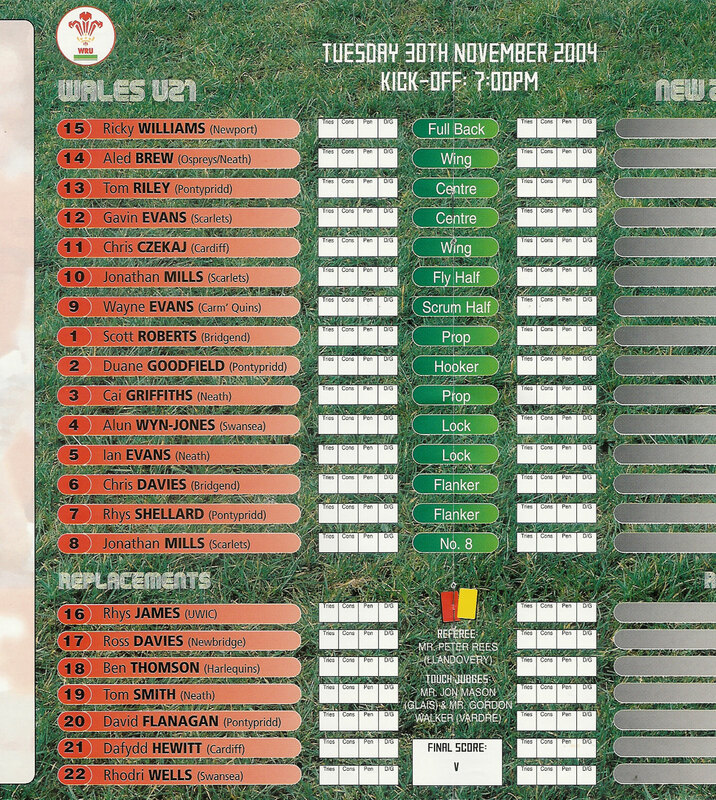 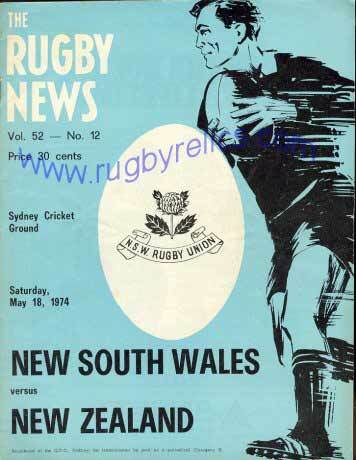 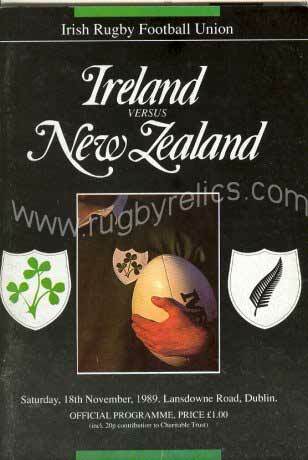 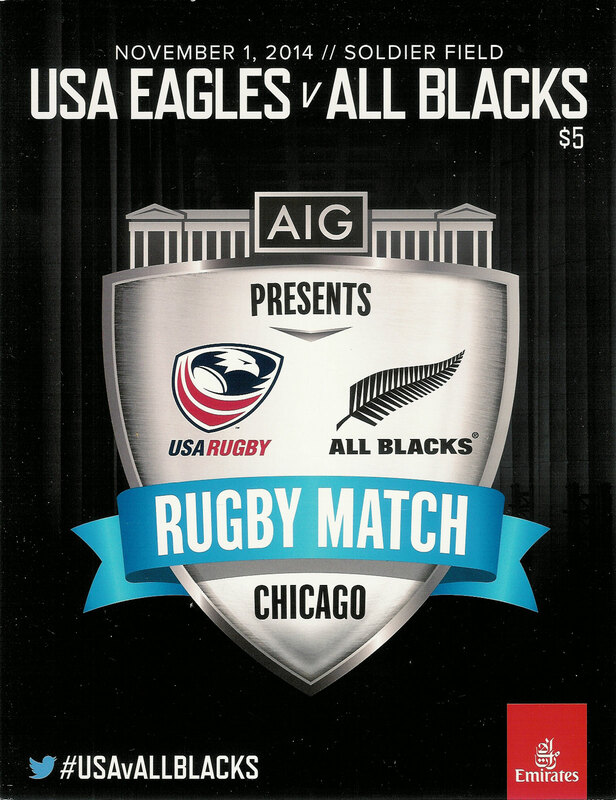 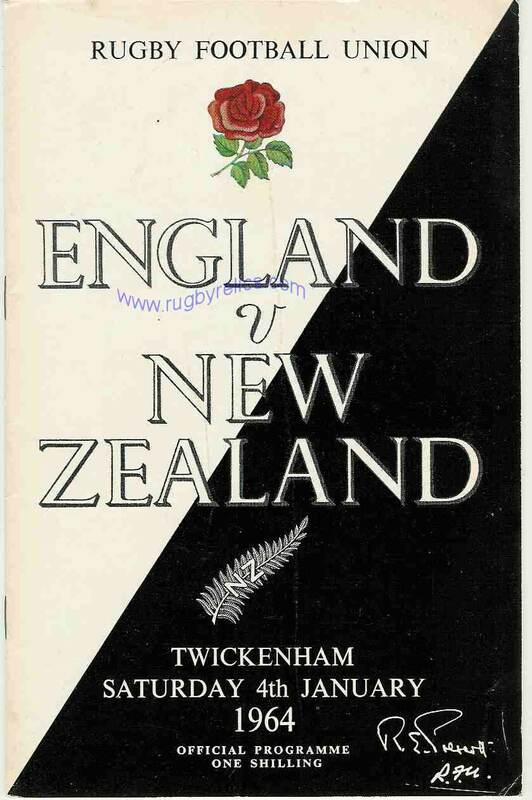 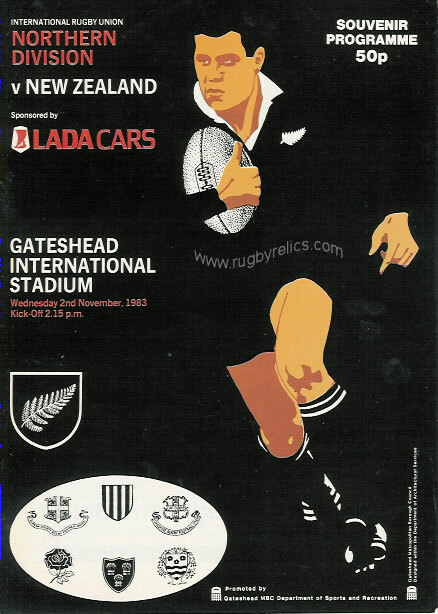 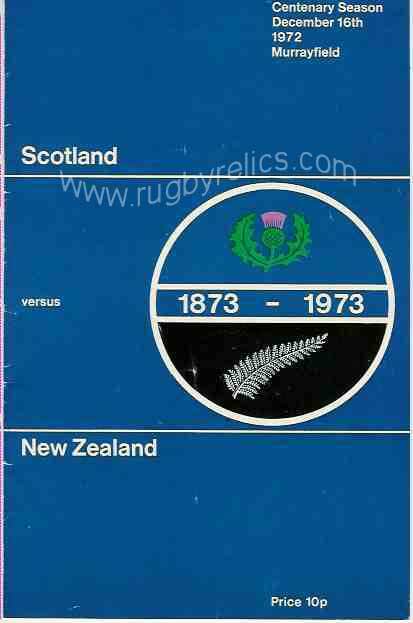 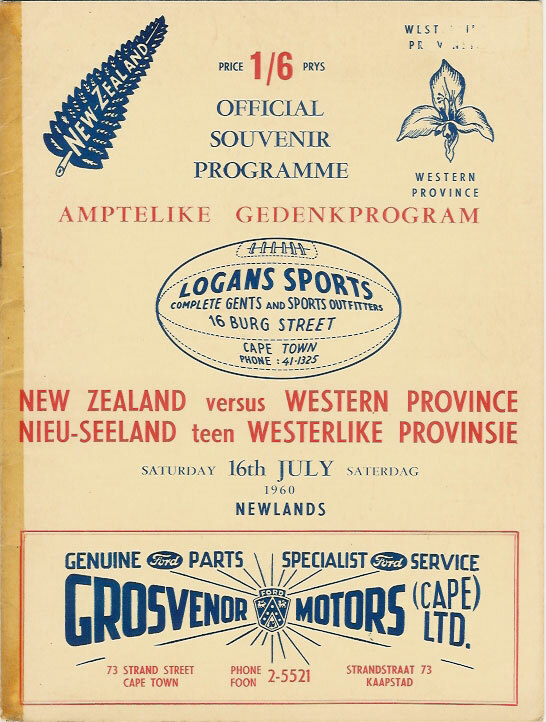 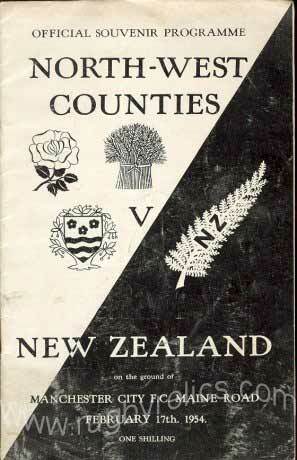 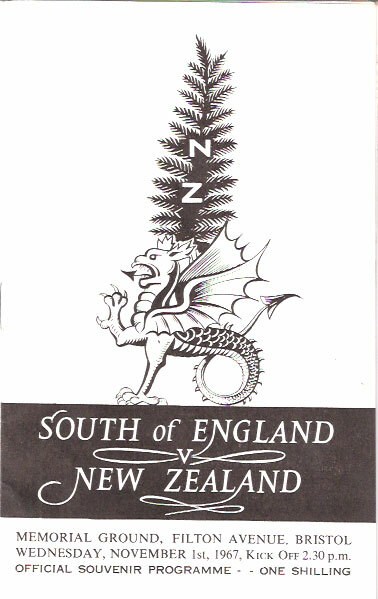 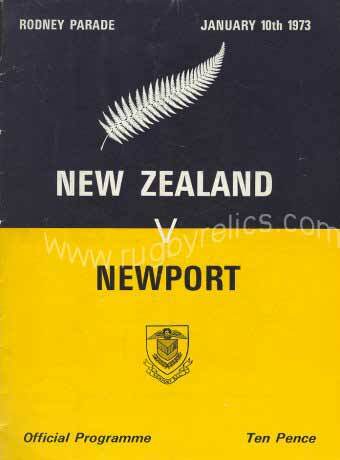 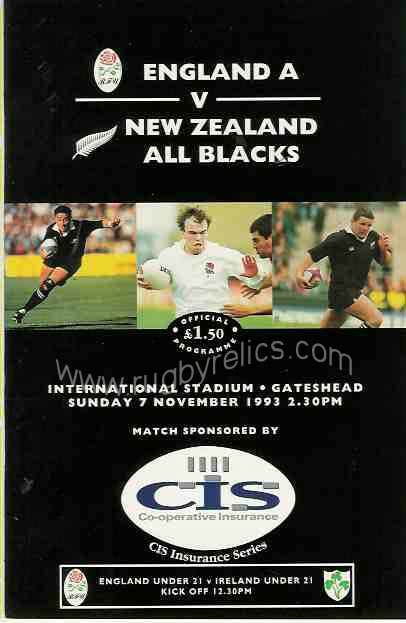 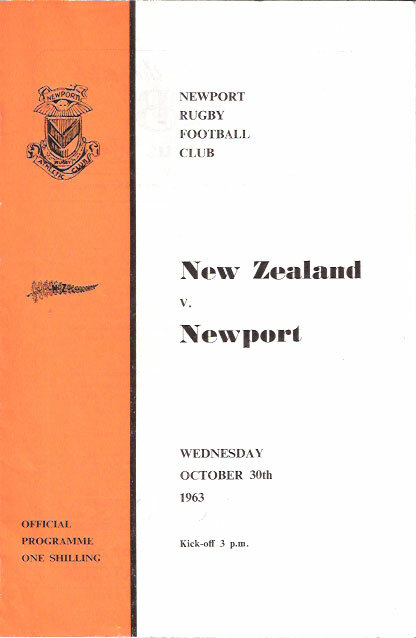 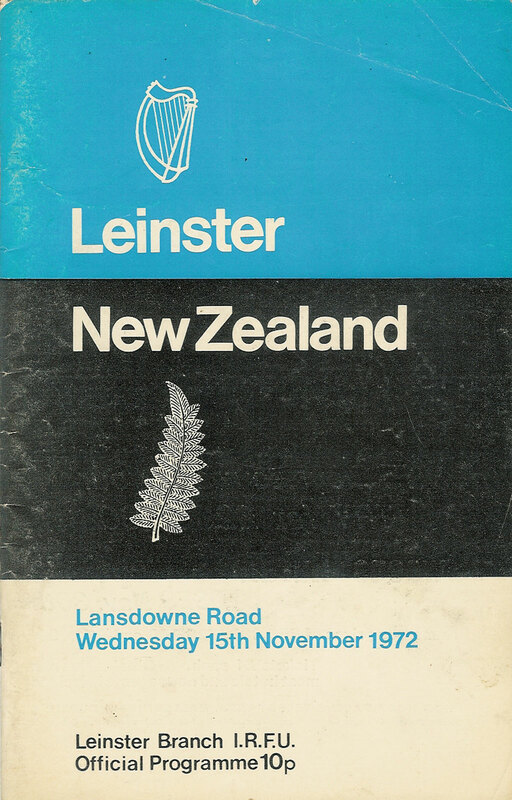 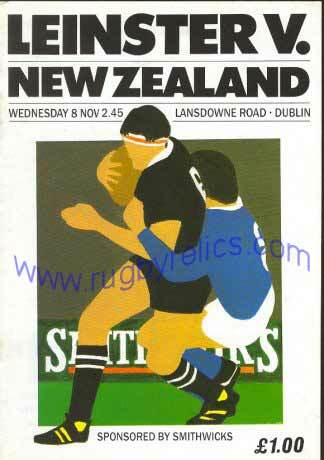 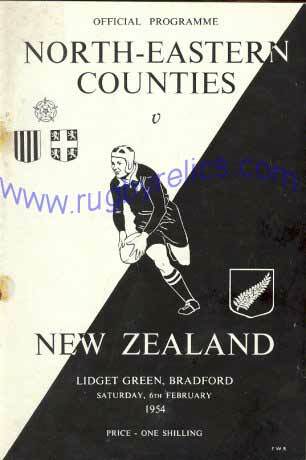 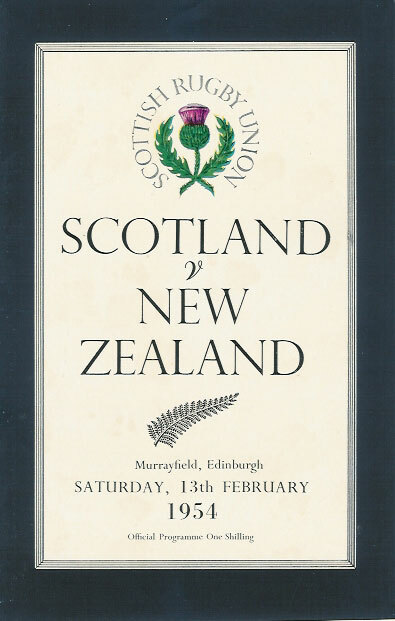 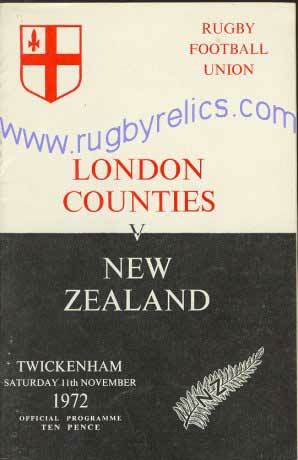 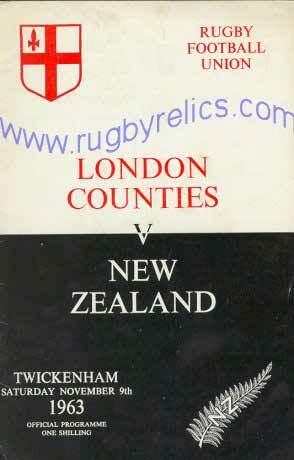 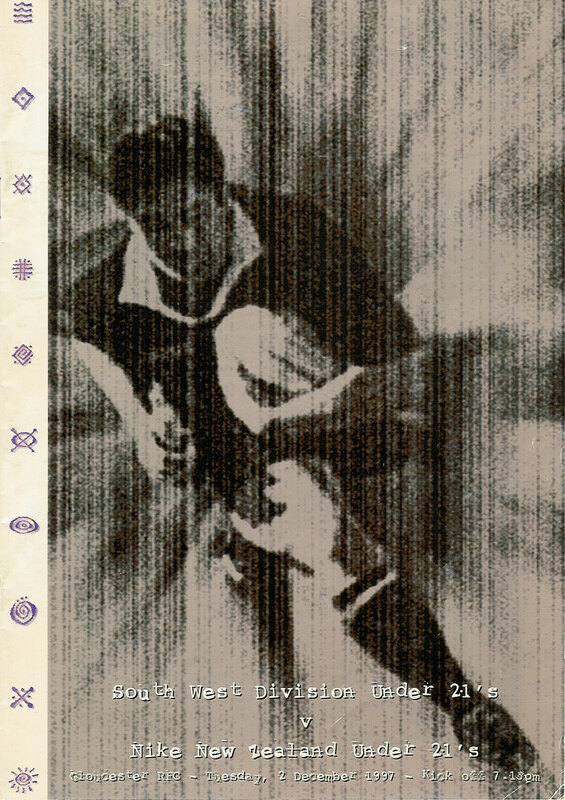 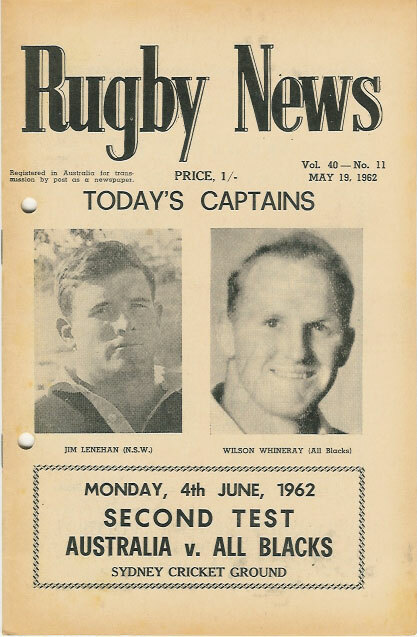 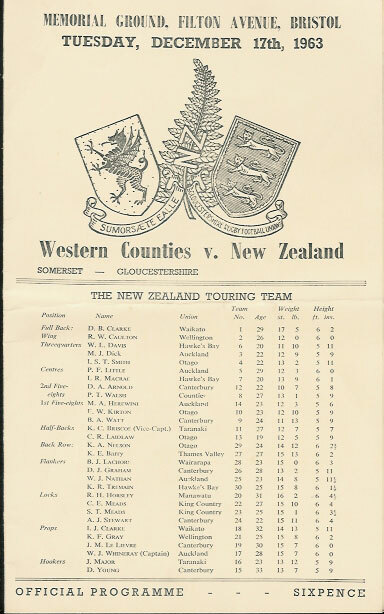 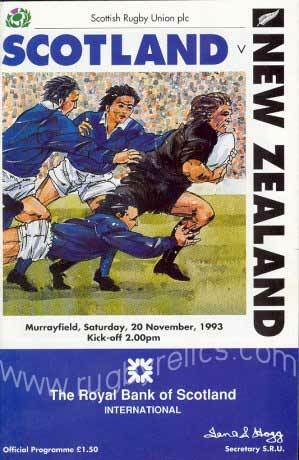 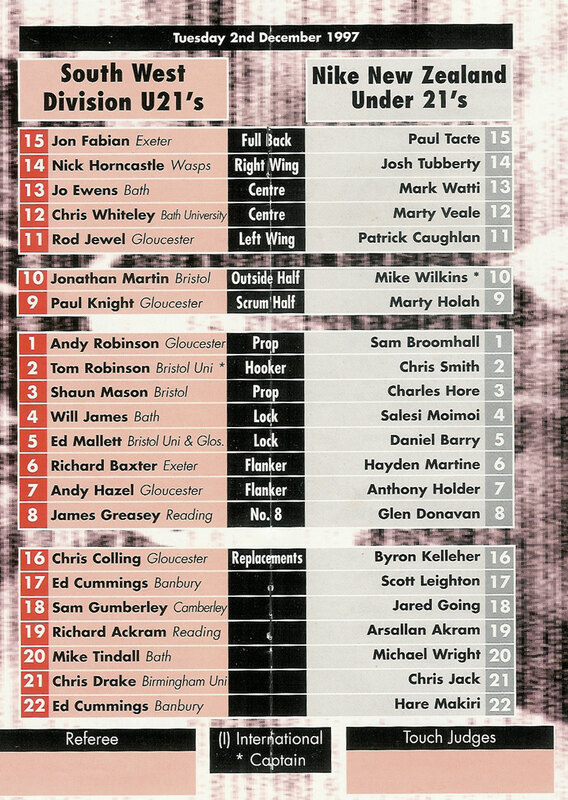 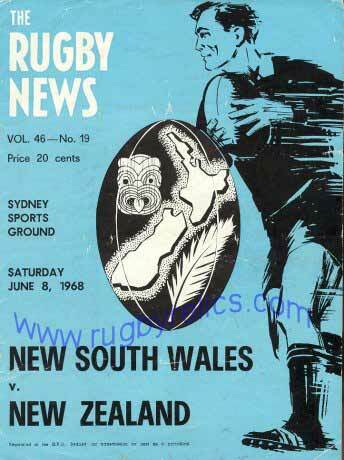 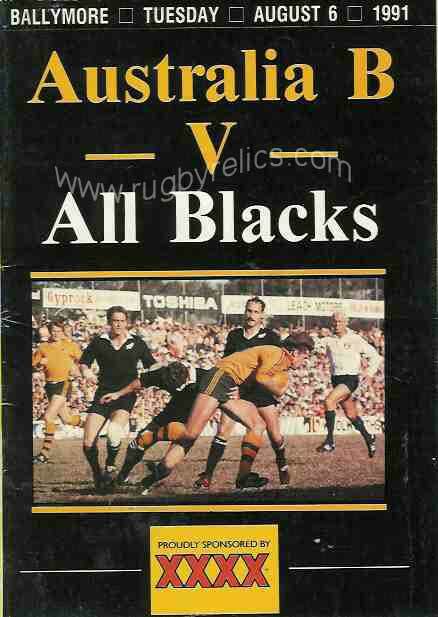 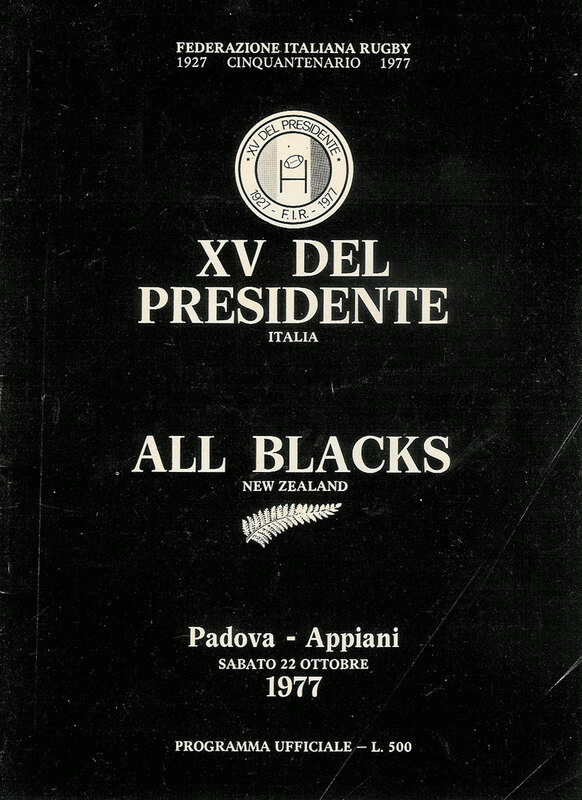 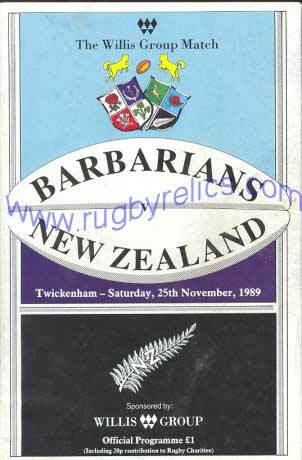 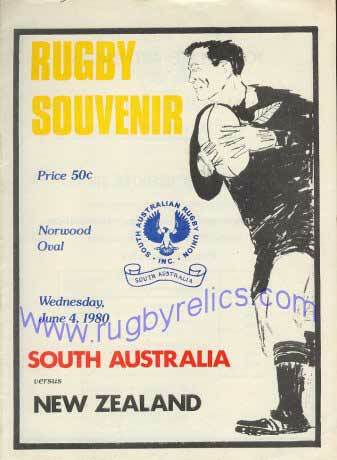 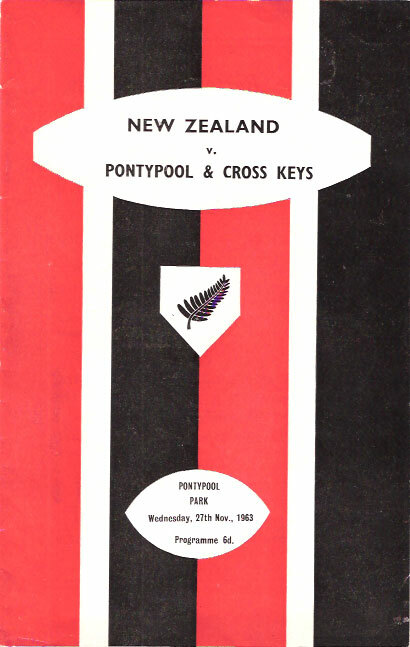 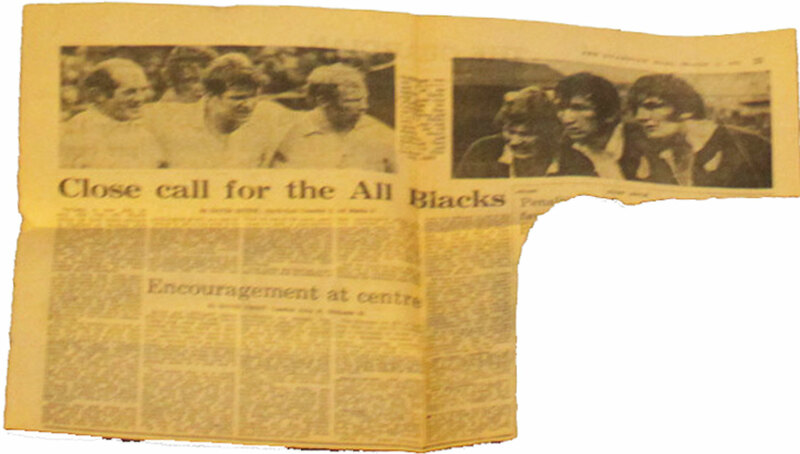 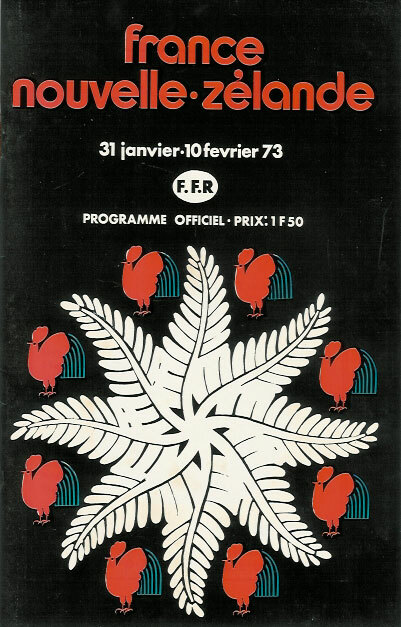 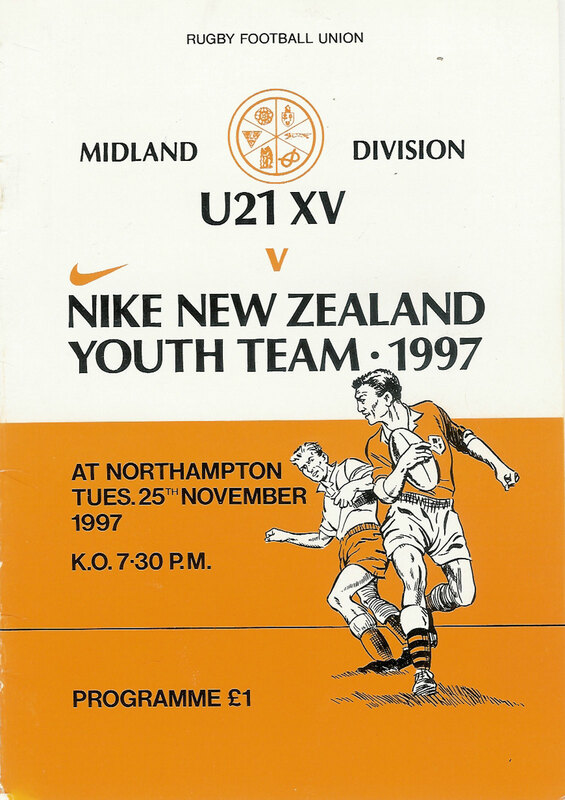 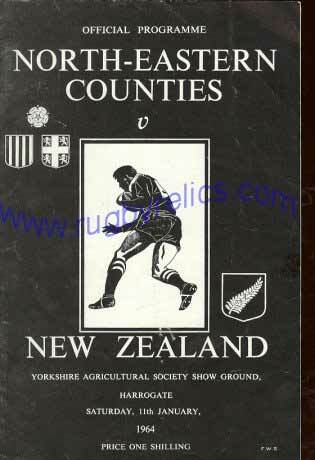 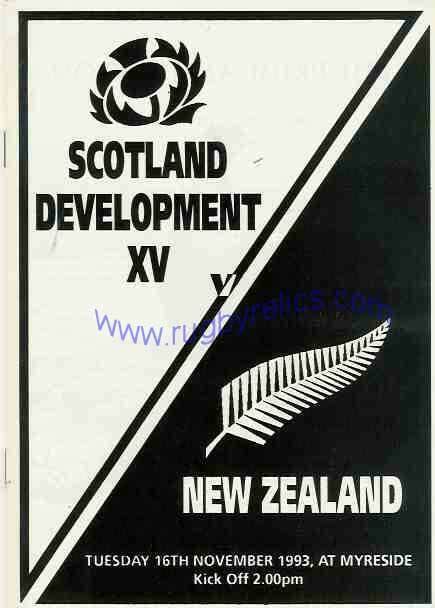 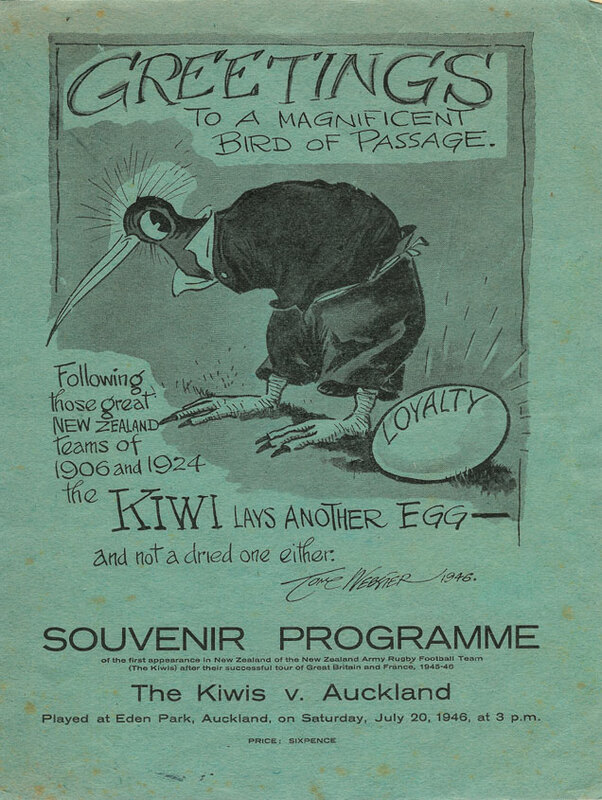 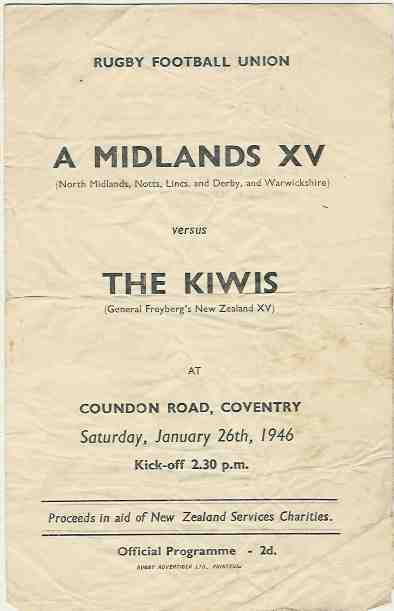 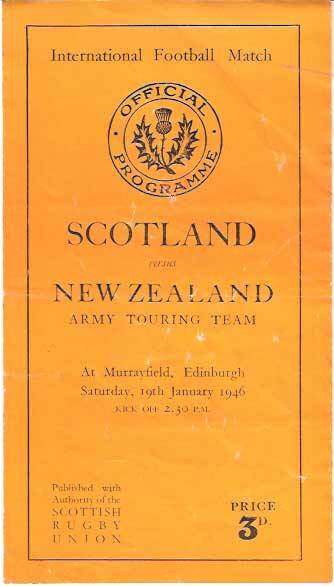 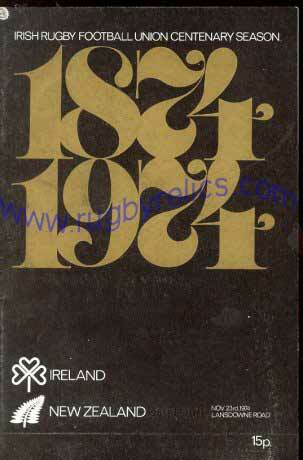 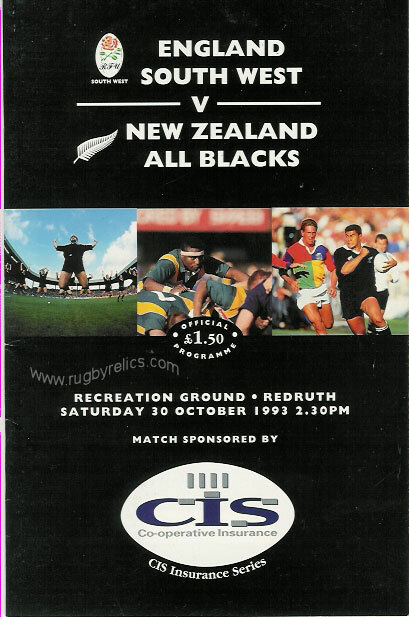 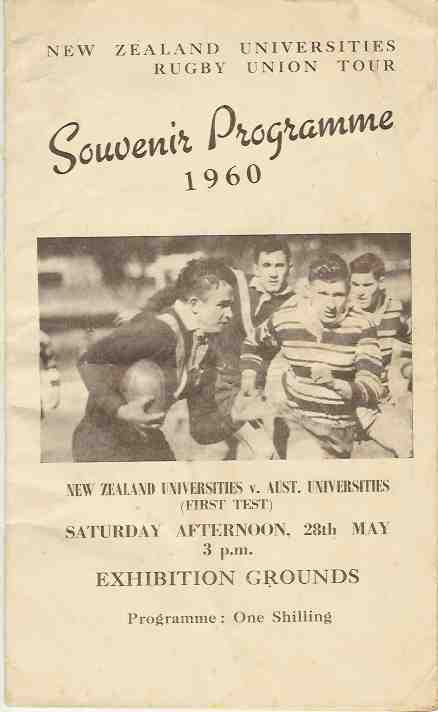 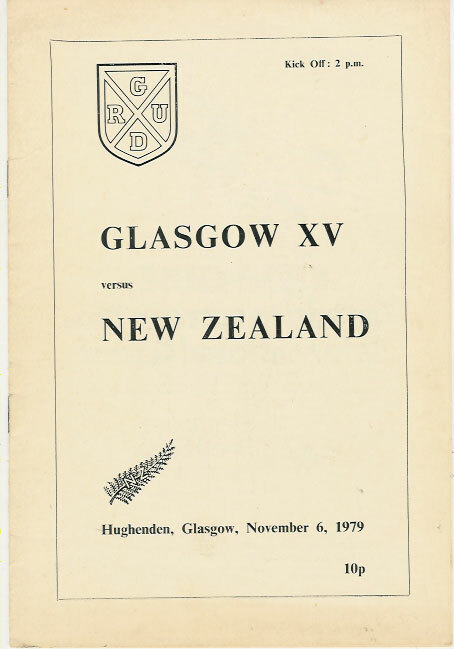 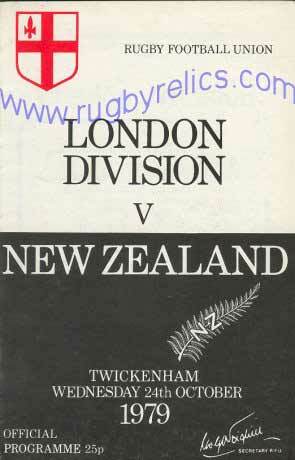 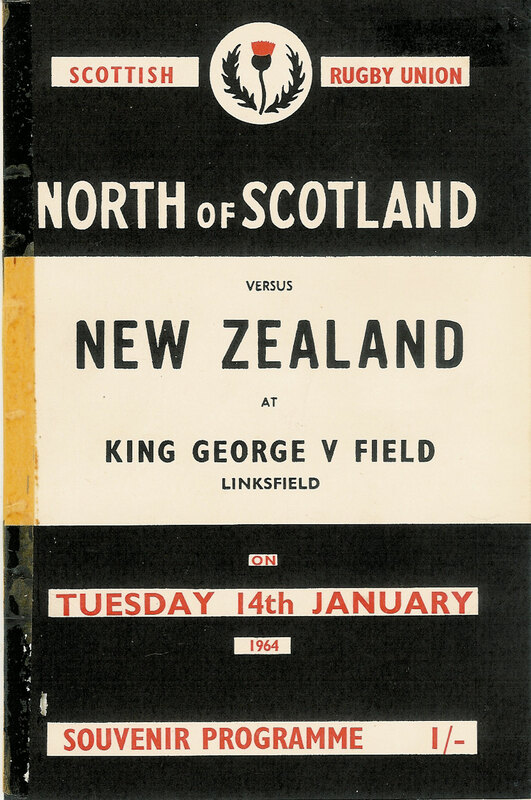 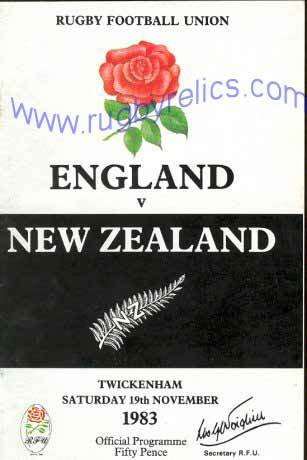 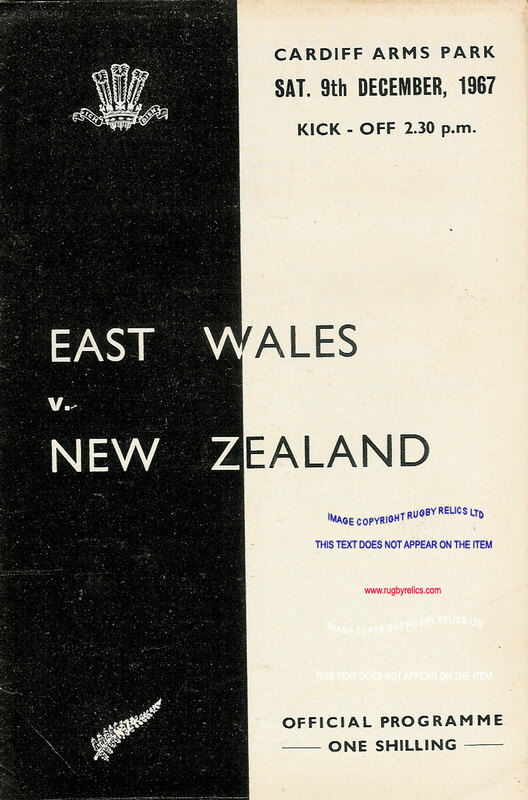 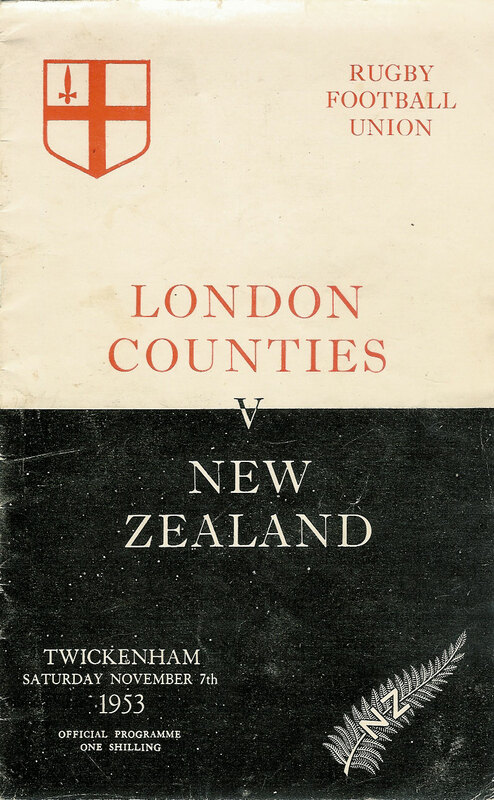 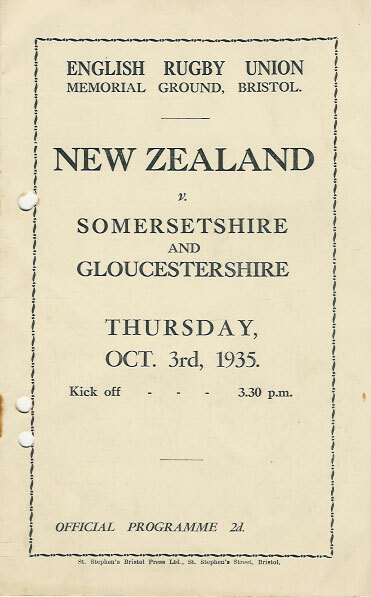 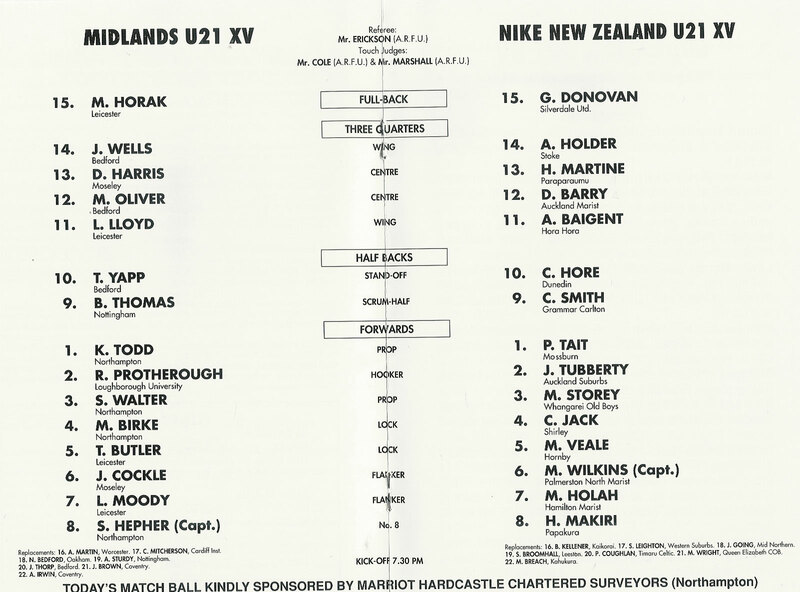 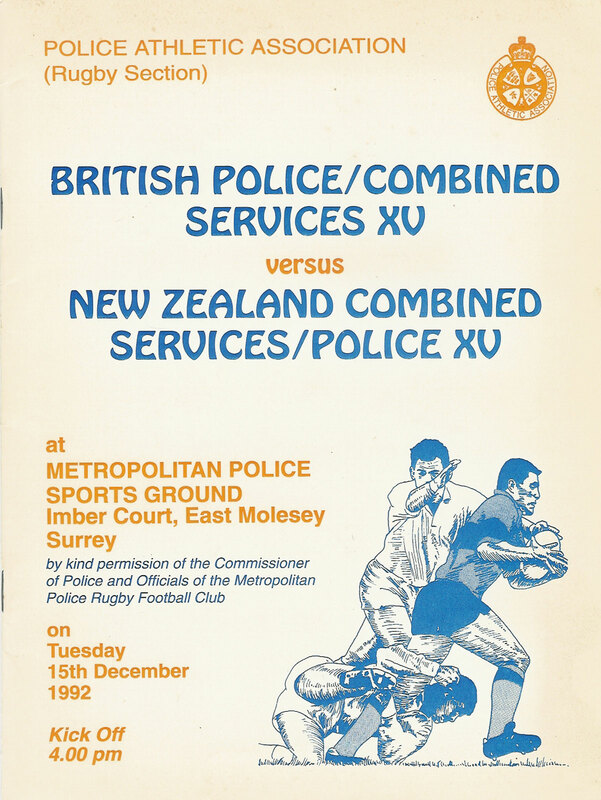 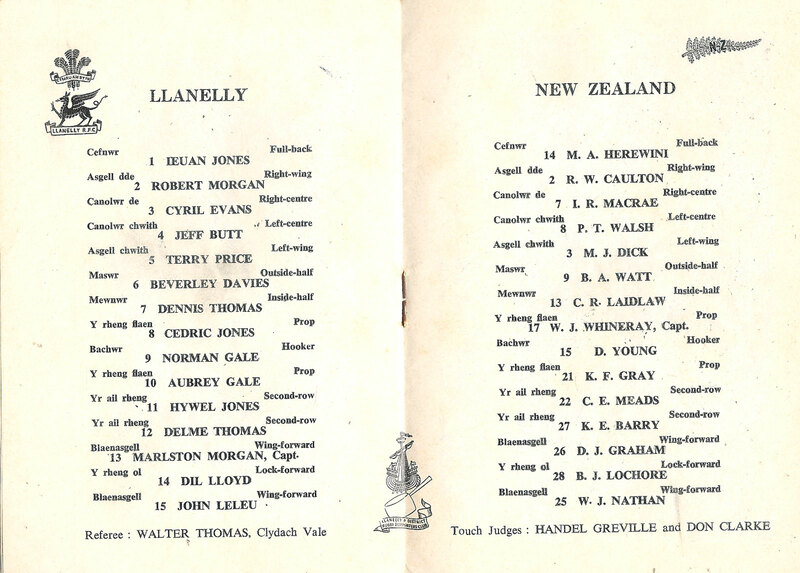 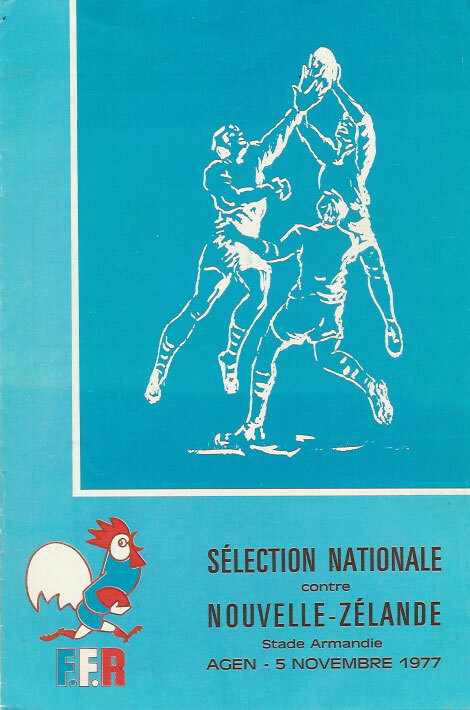 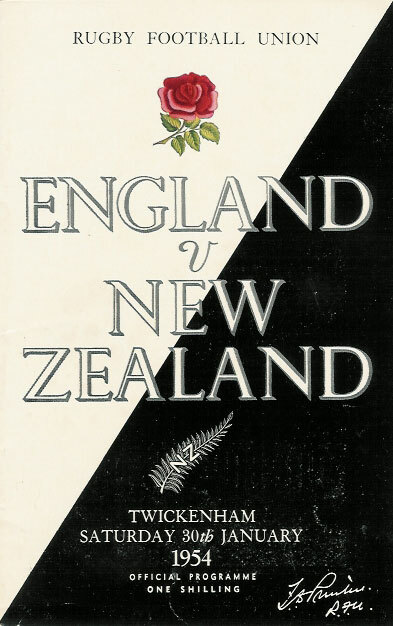 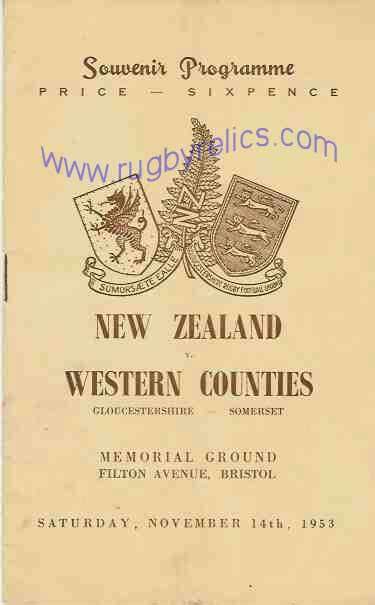 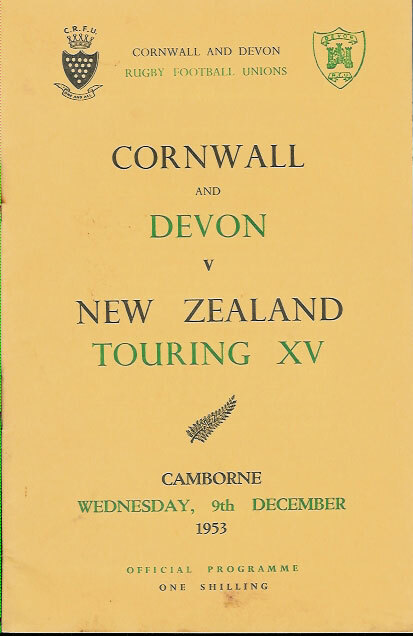 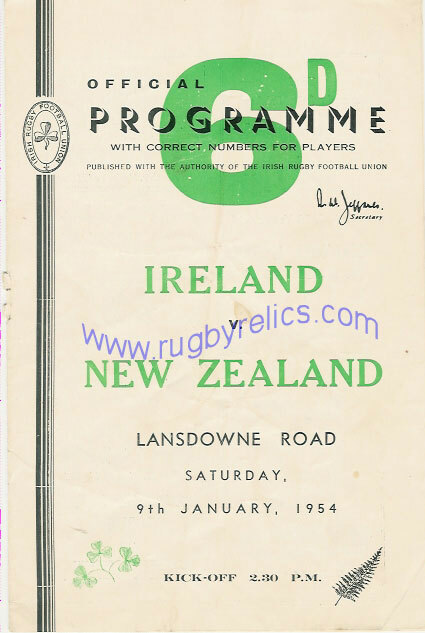 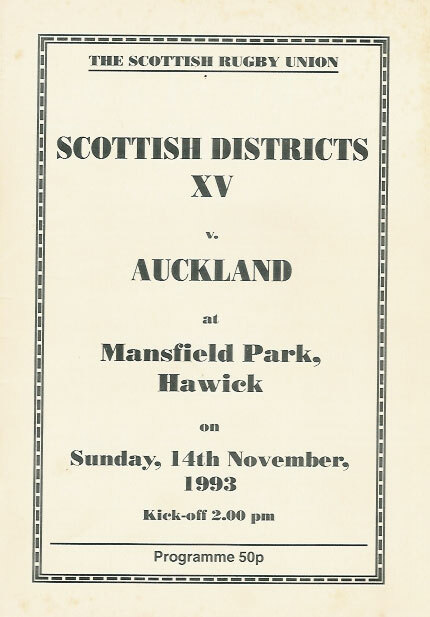 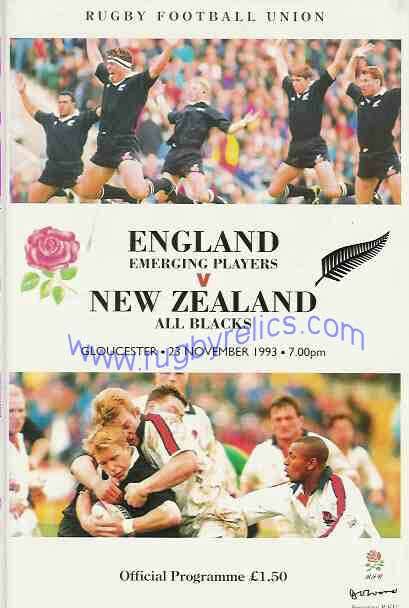 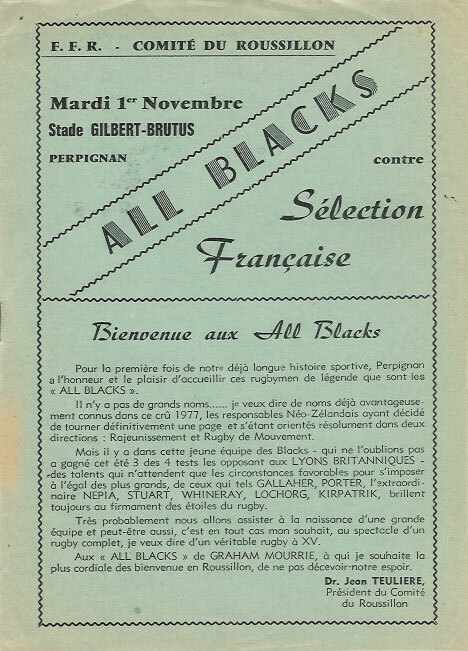 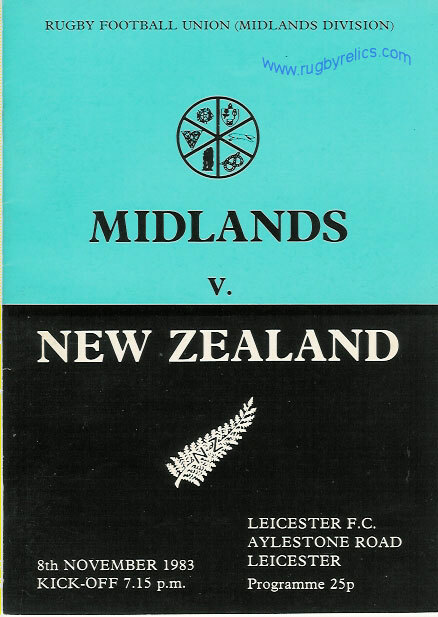 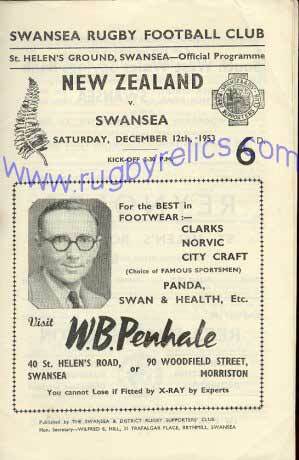 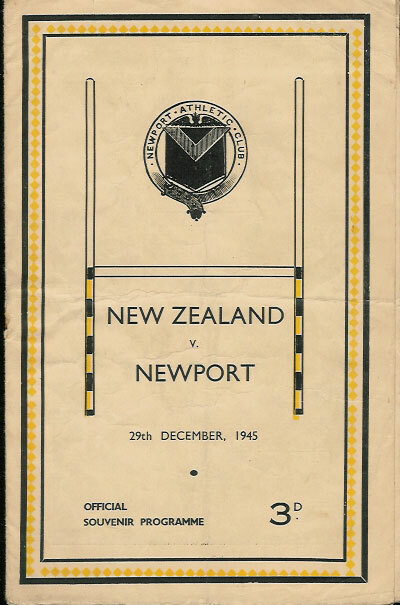 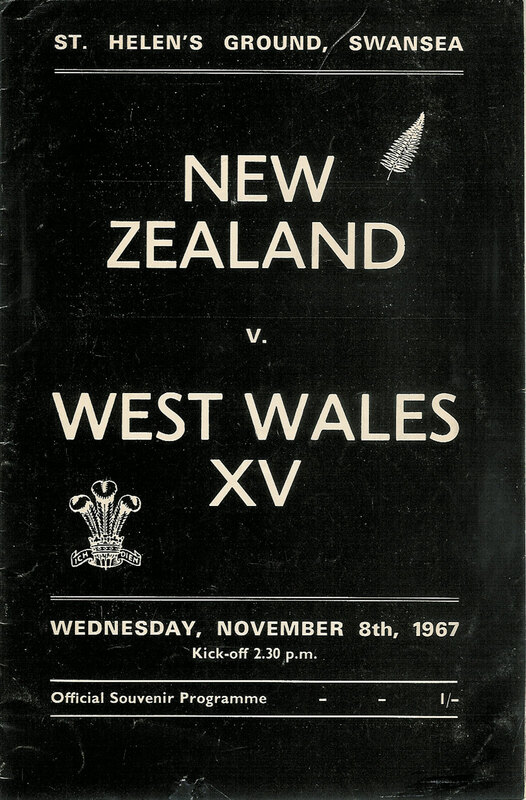 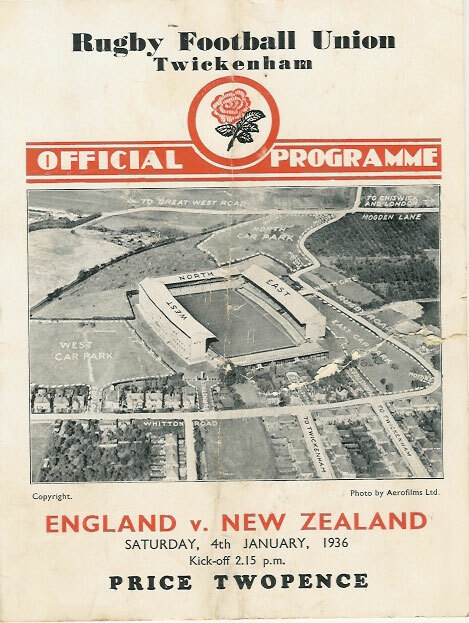 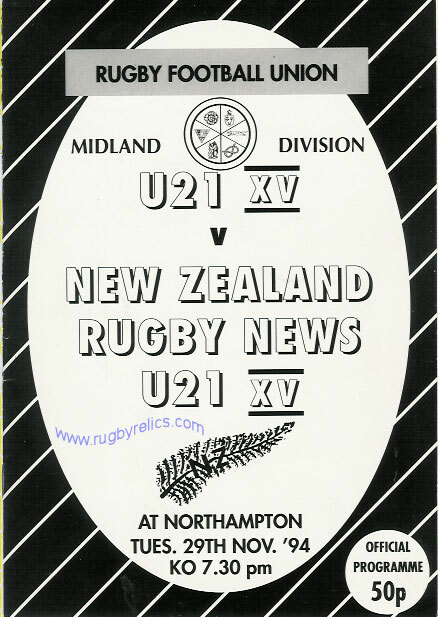 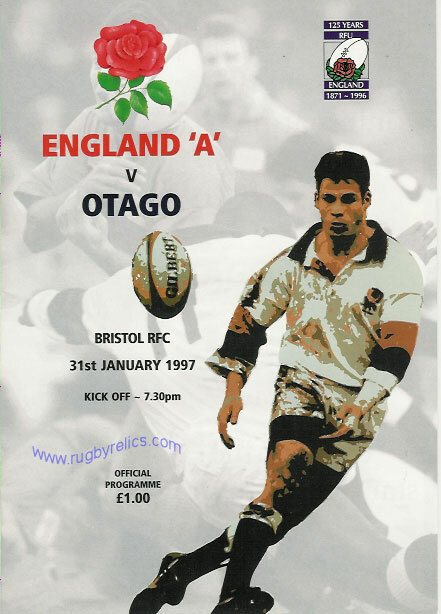 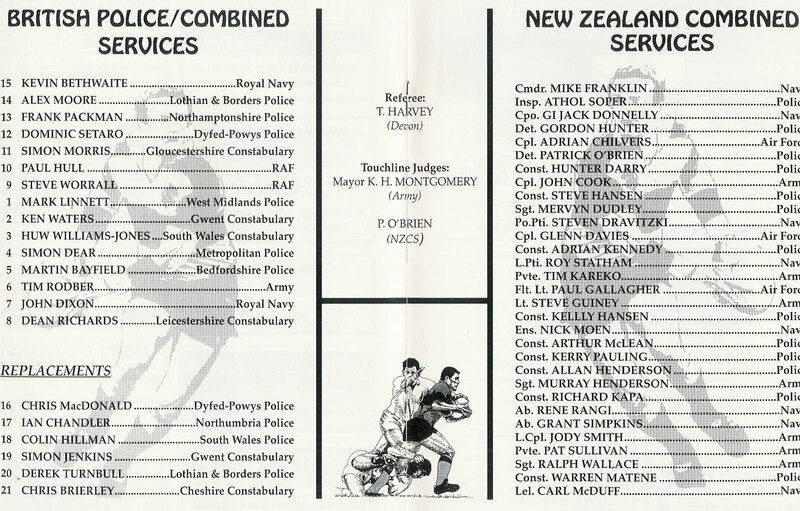 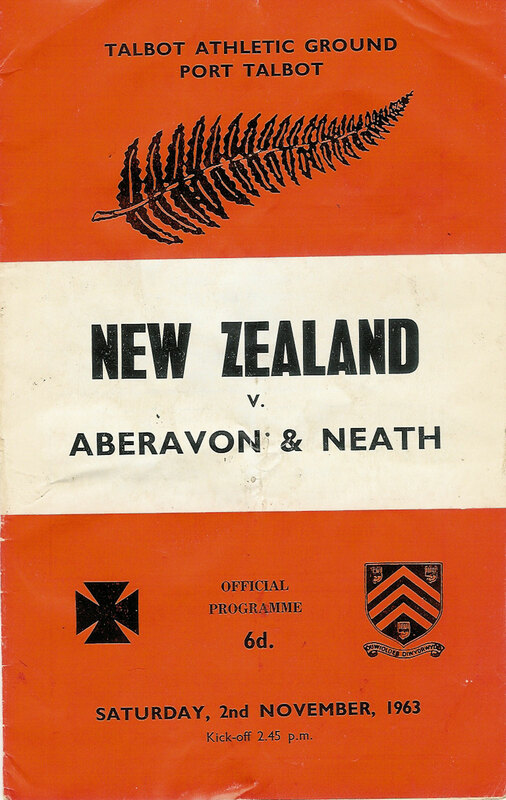 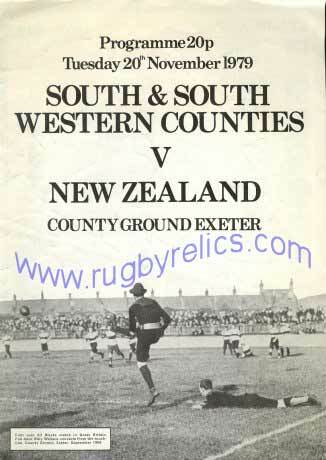 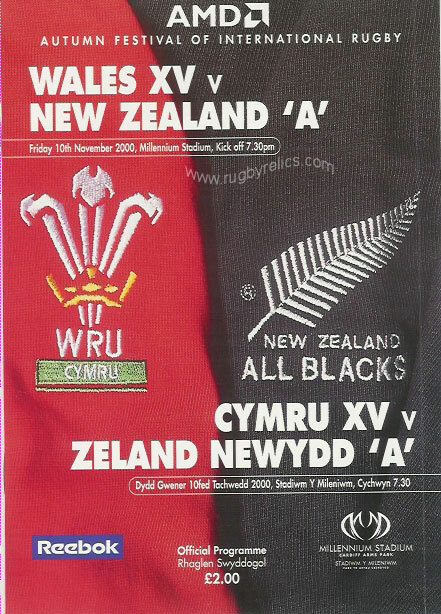 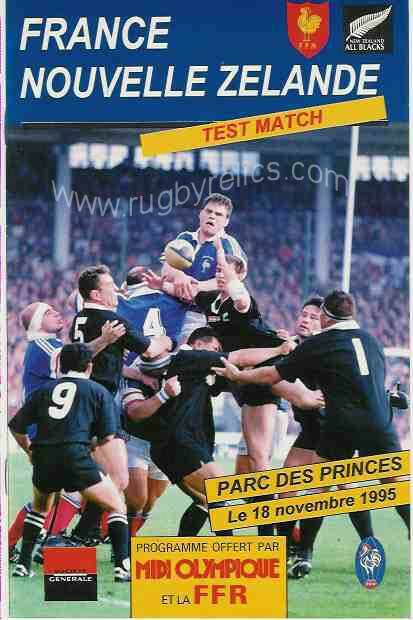 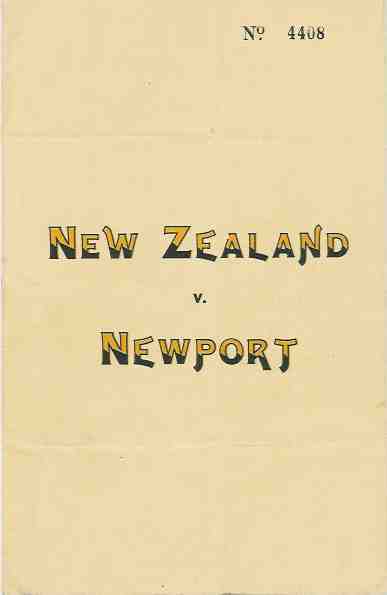 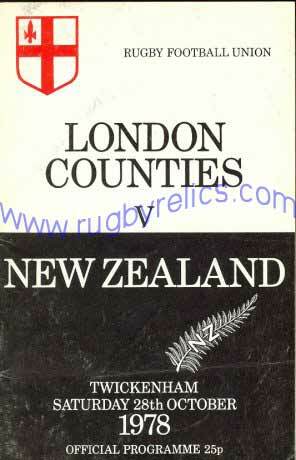 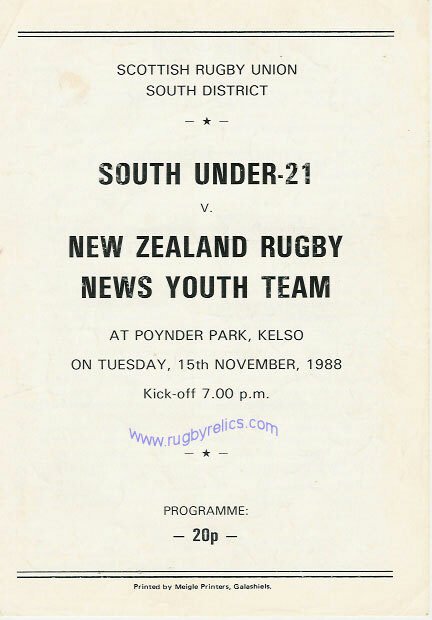 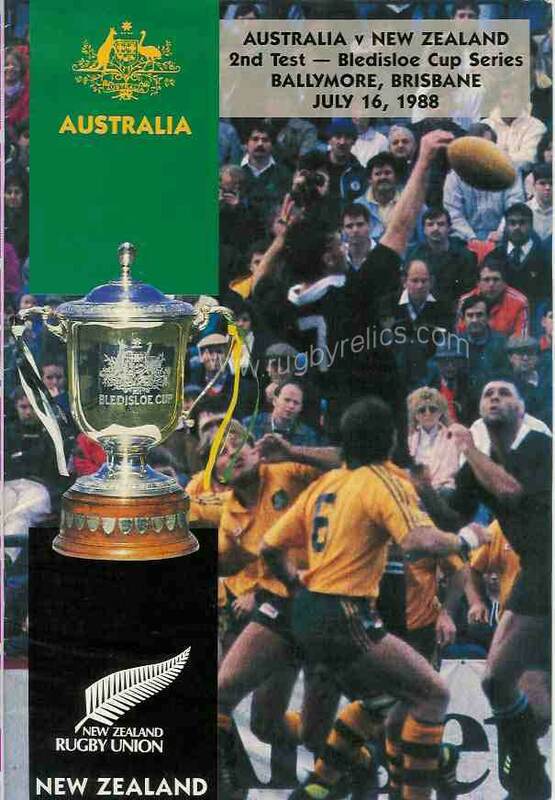 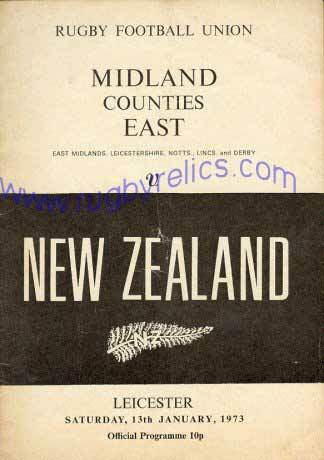 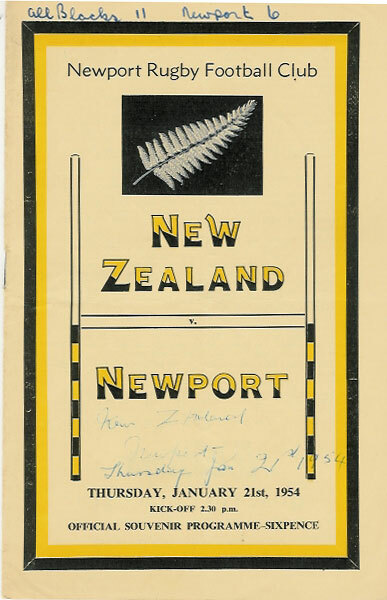 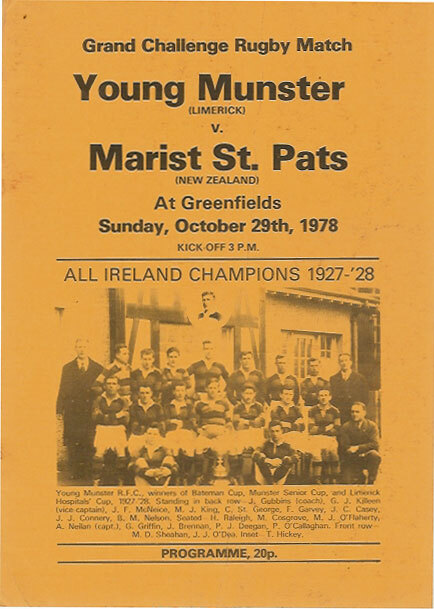 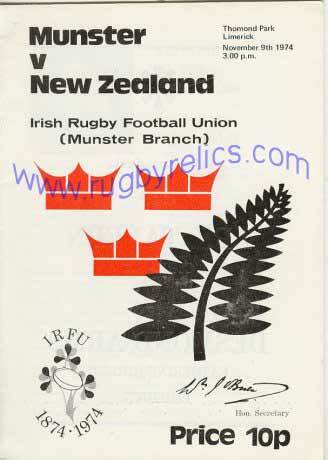 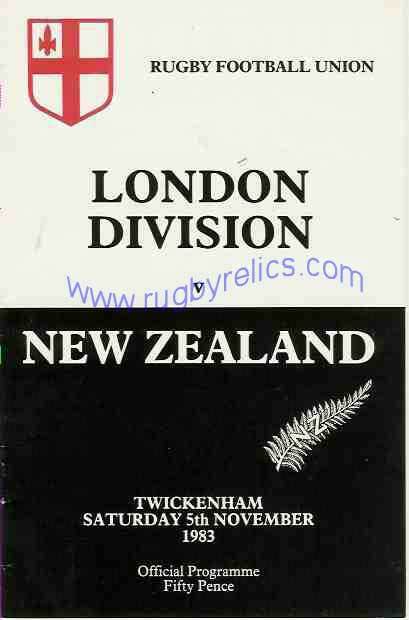 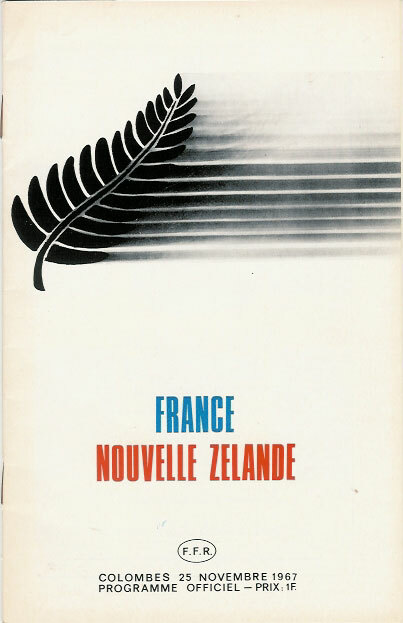 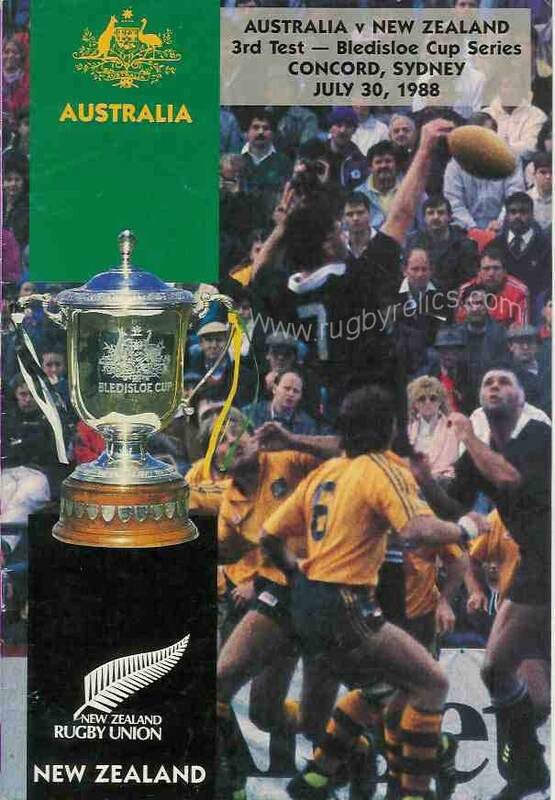 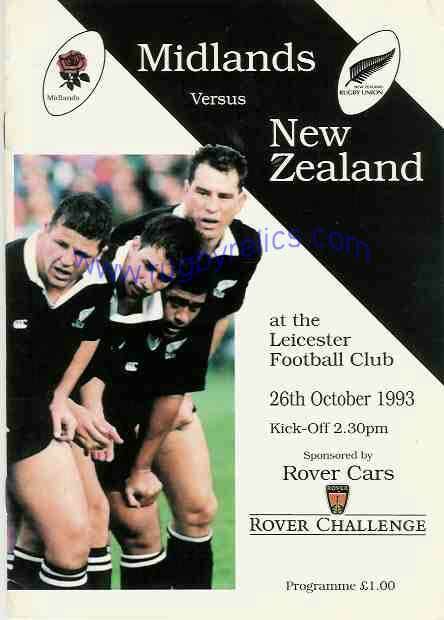 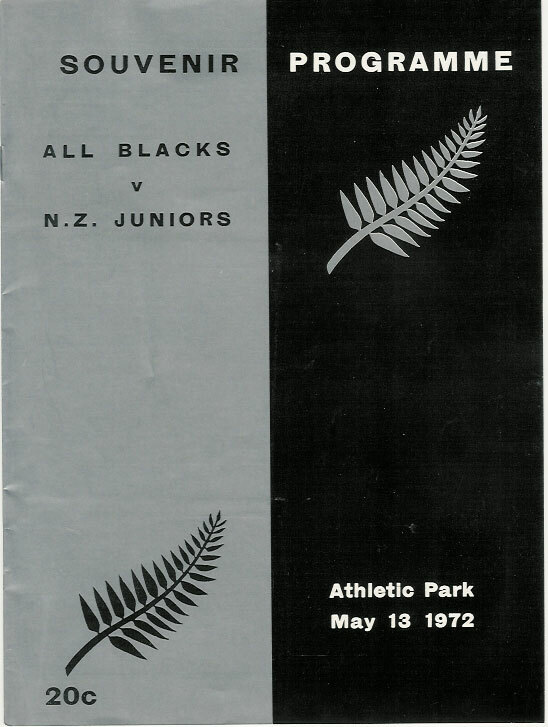 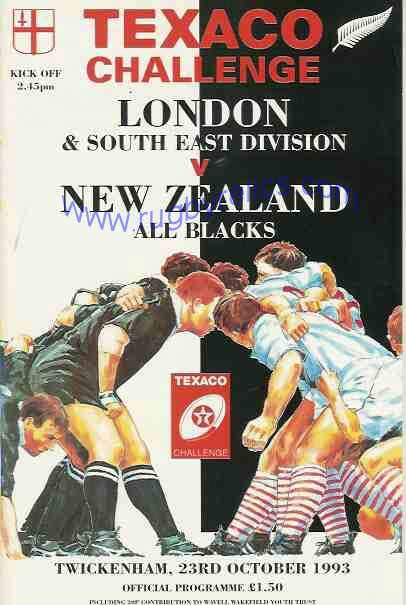 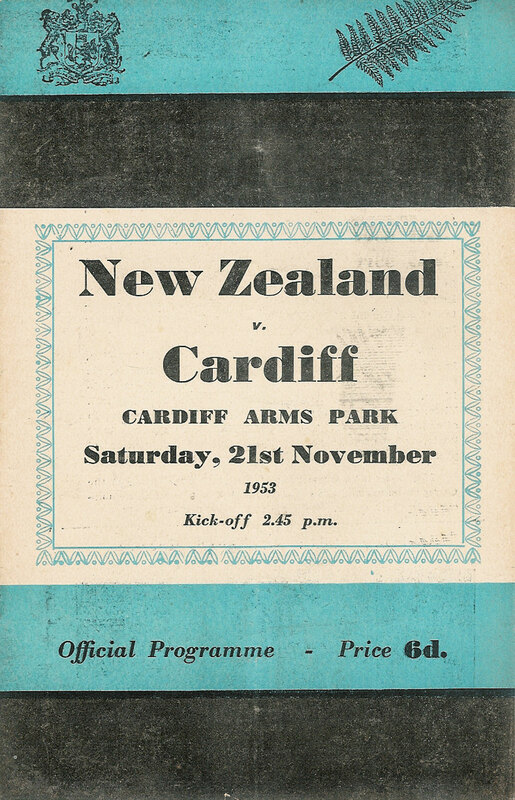 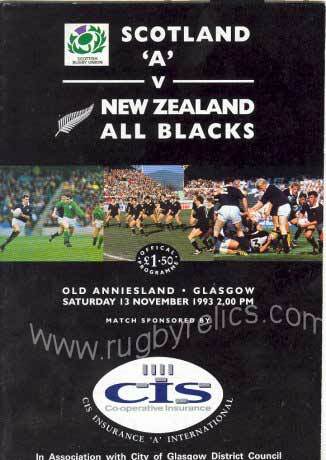 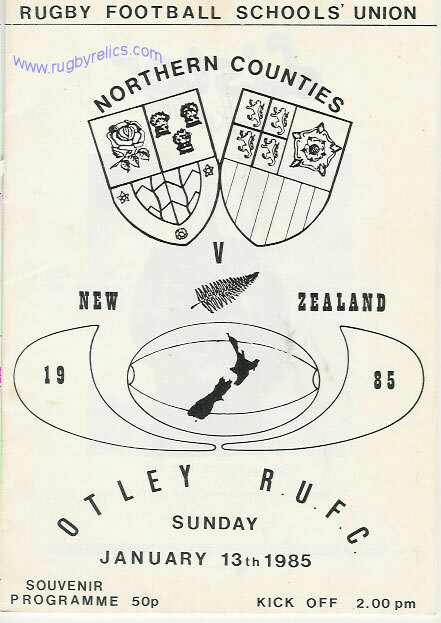 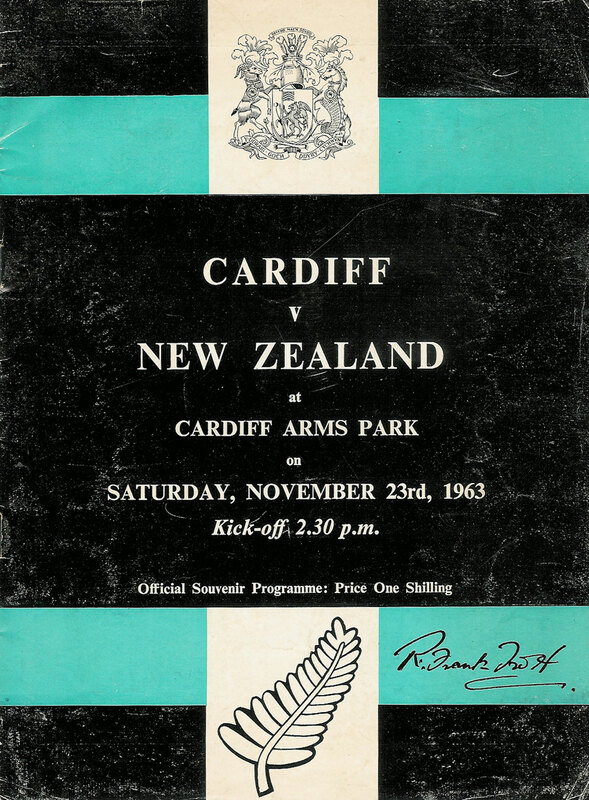 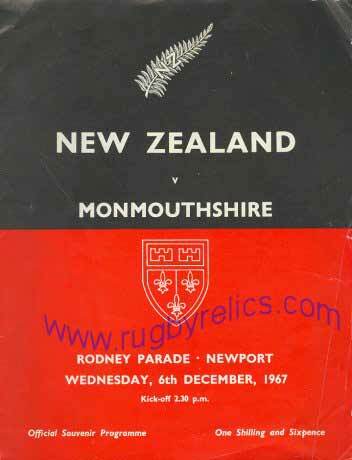 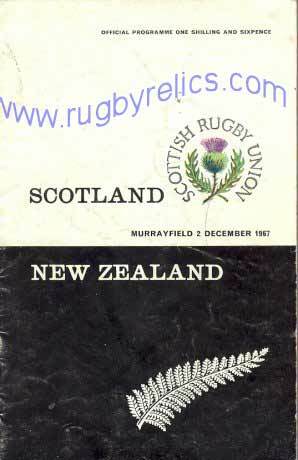 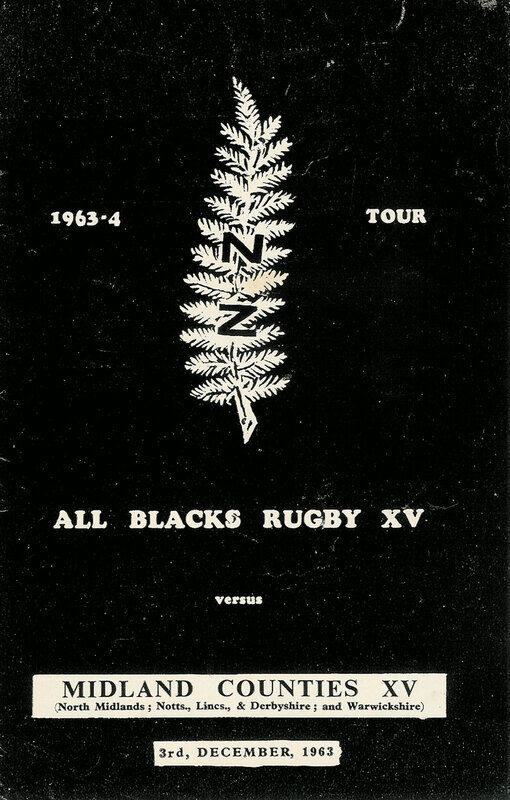 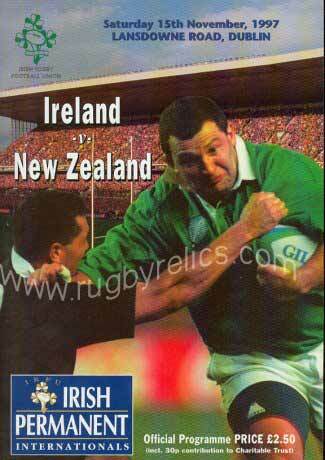 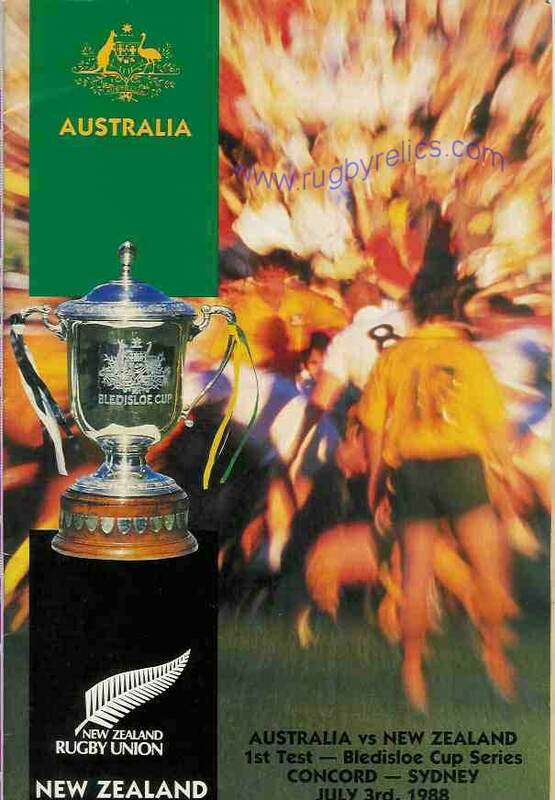 Programmes from the tours of the New Zealand All Blacks and other representative New Zealand teams. 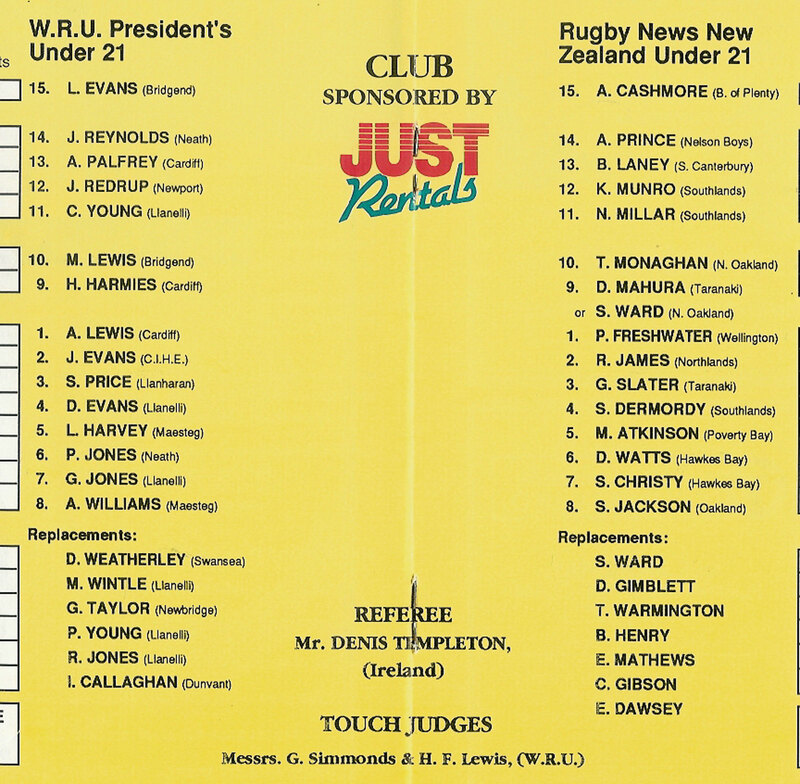 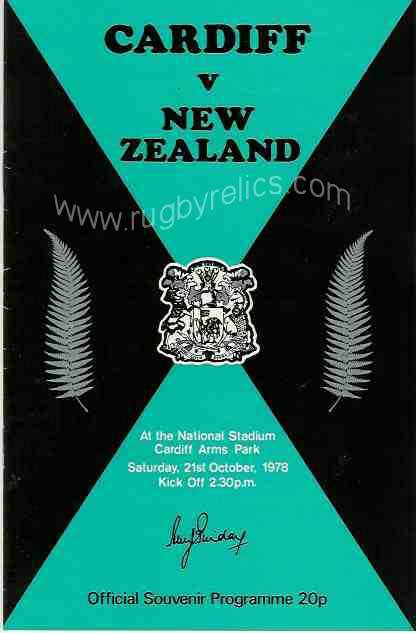 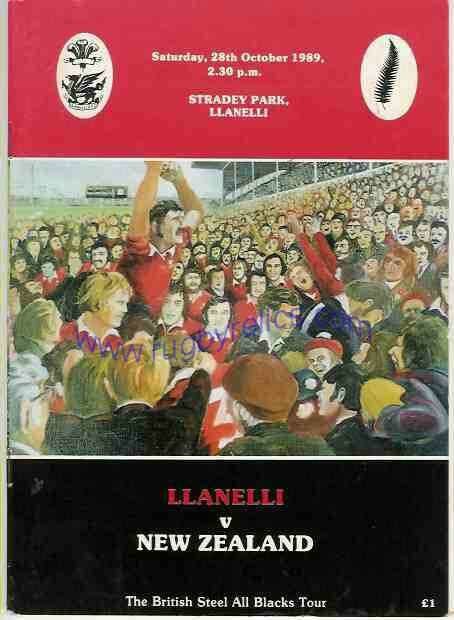 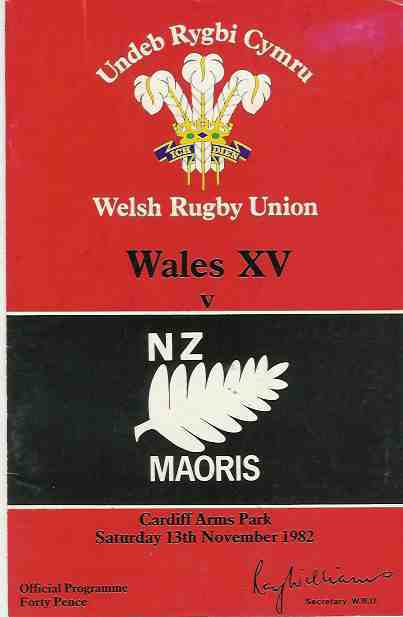 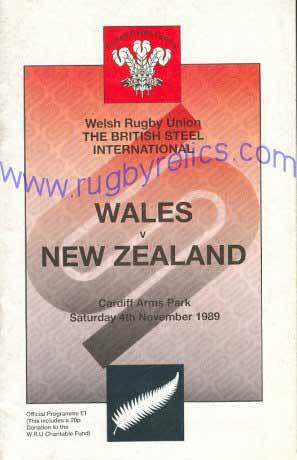 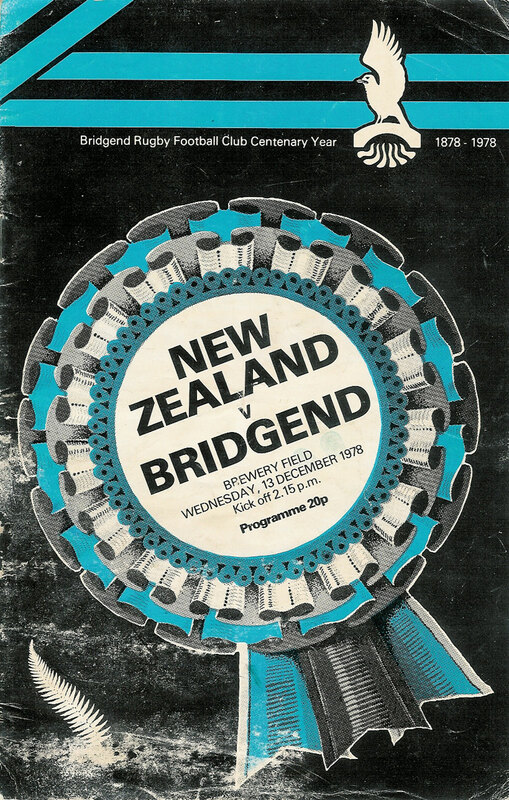 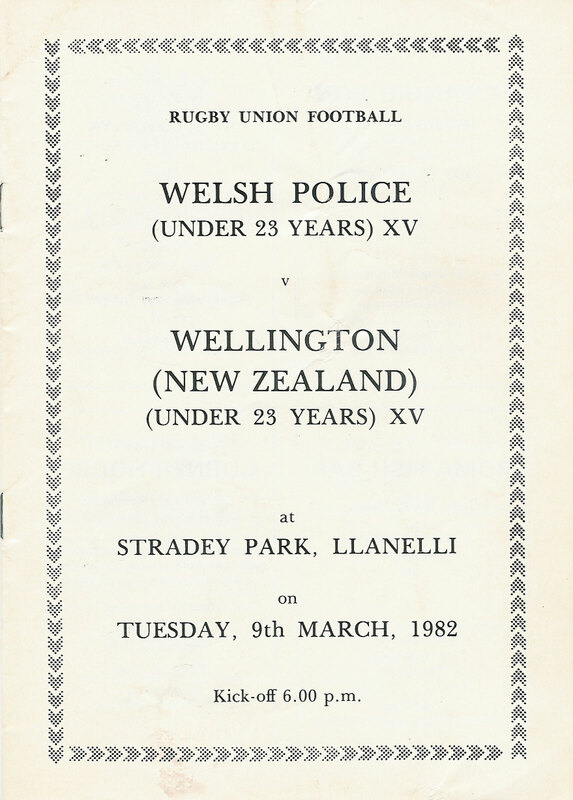 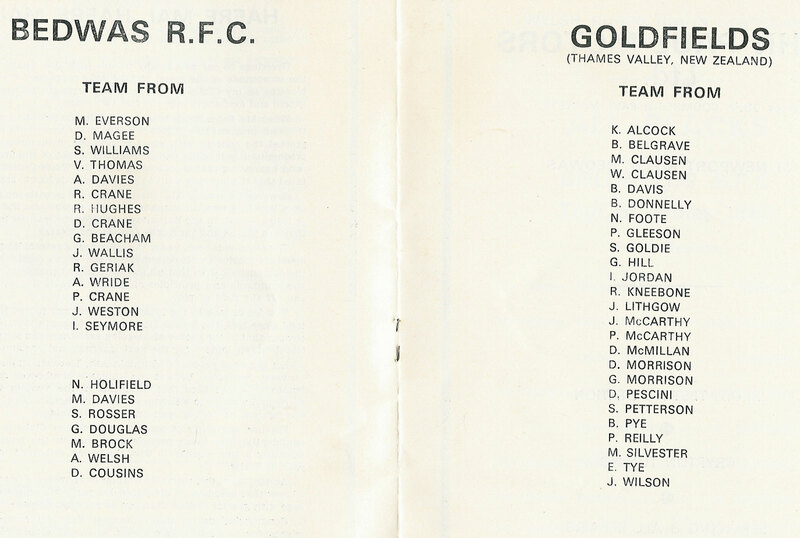 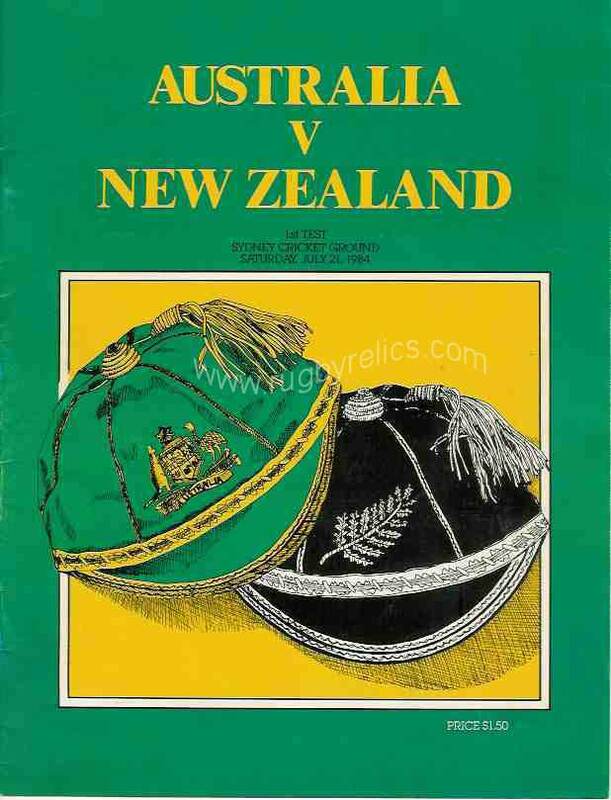 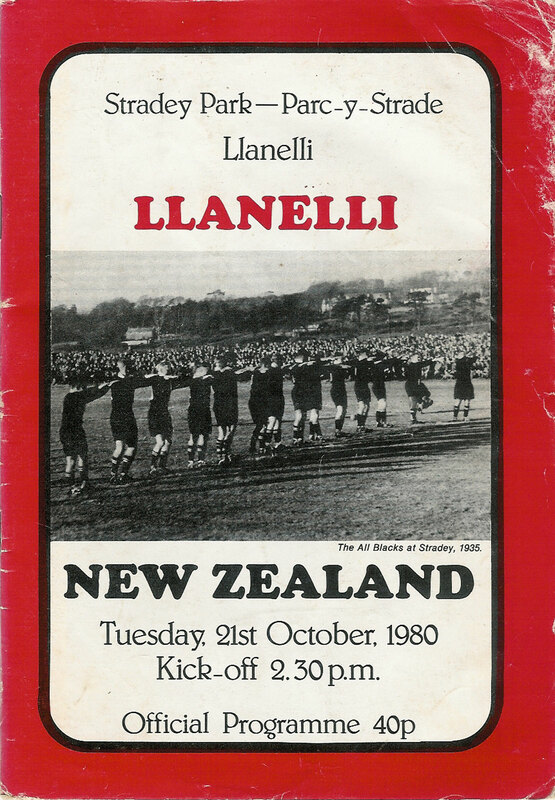 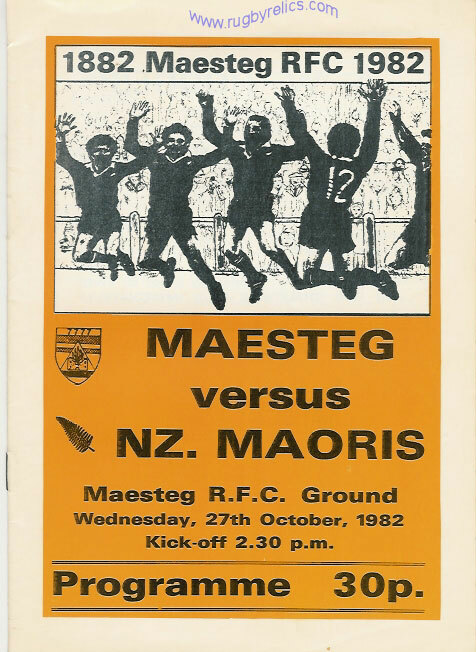 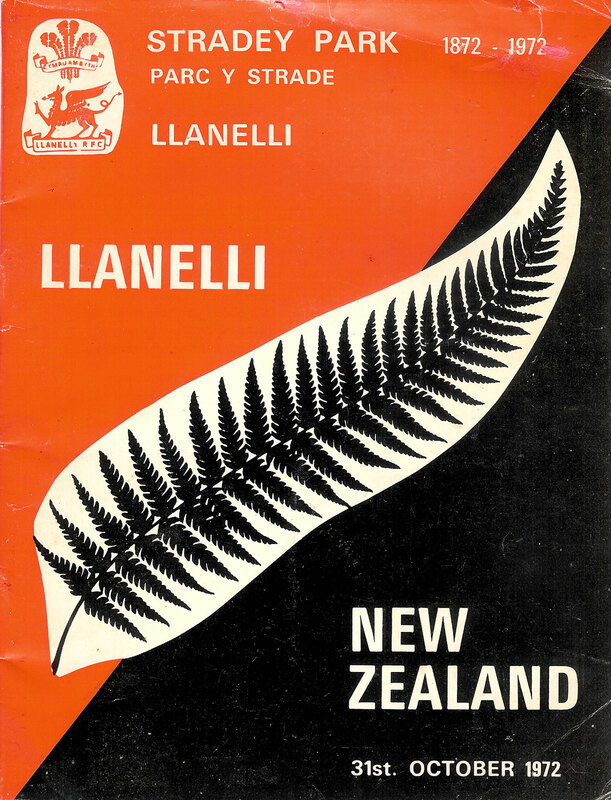 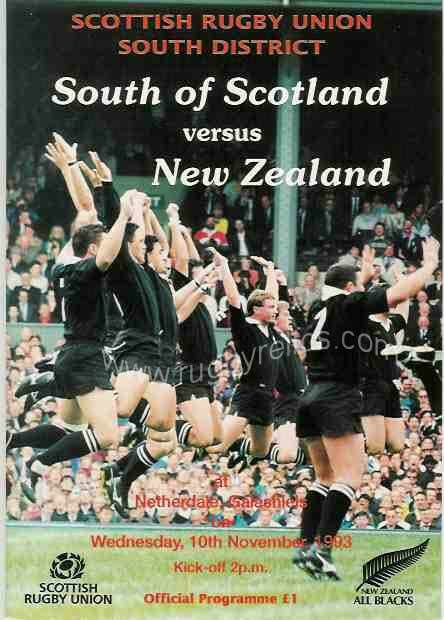 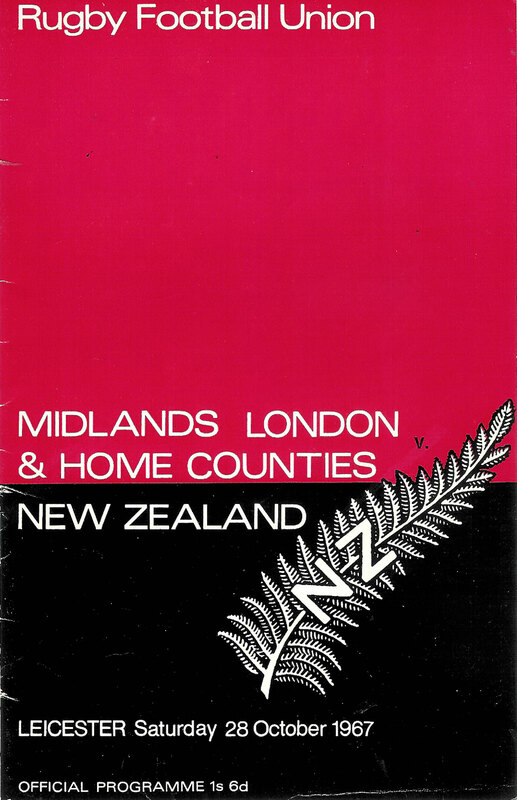 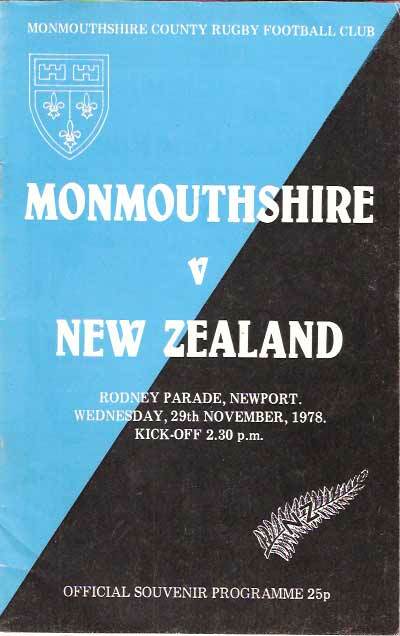 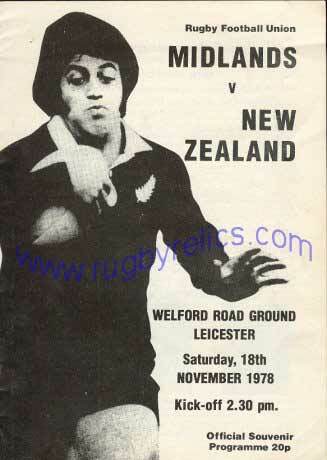 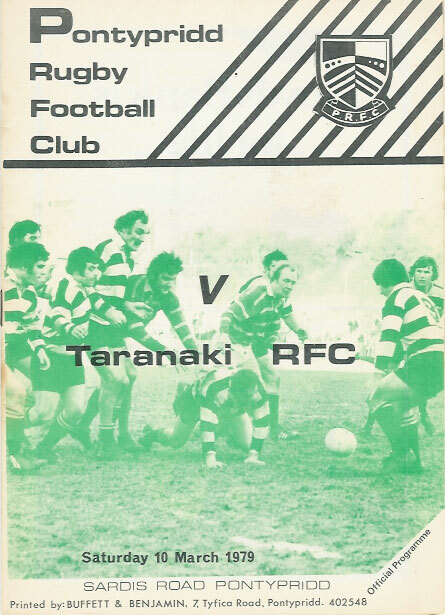 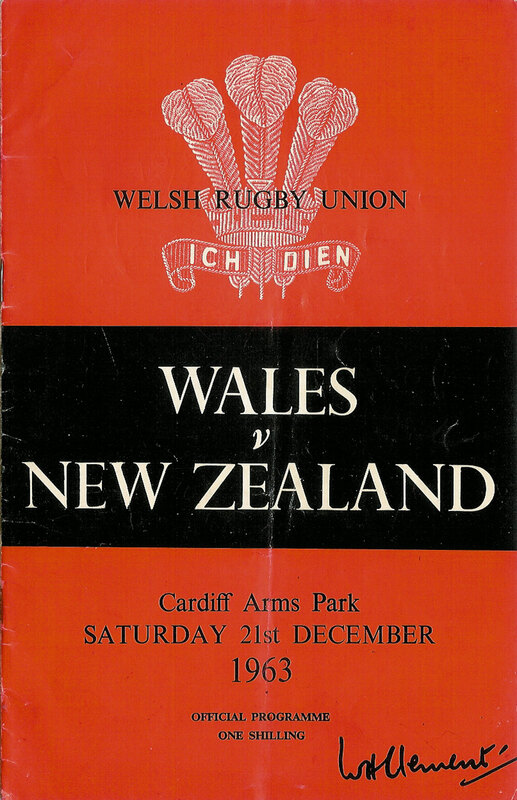 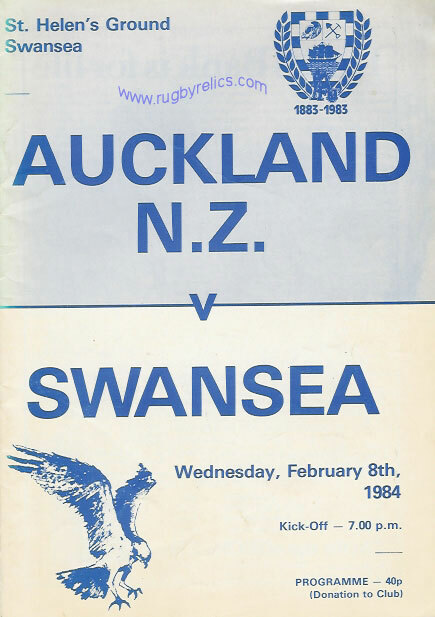 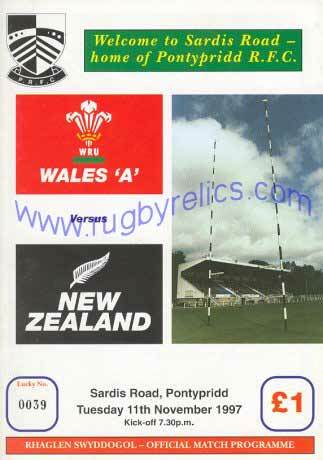 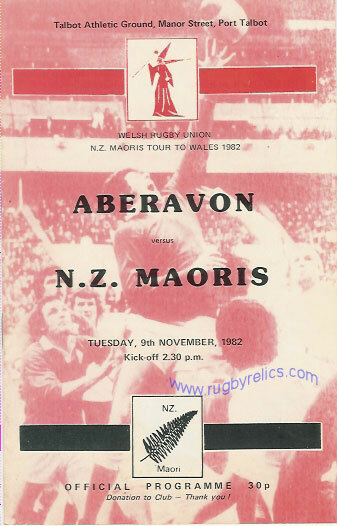 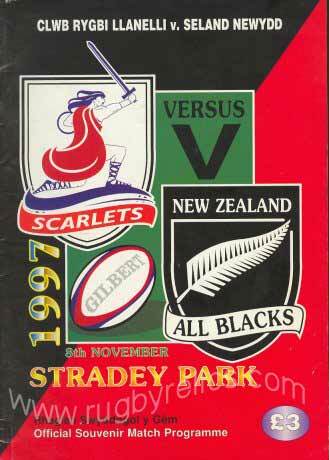 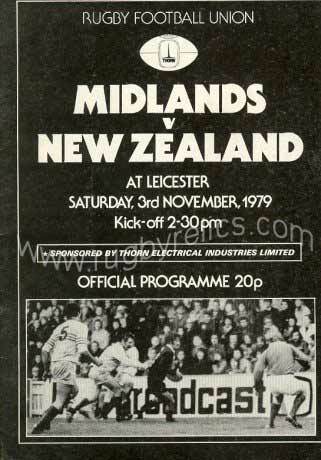 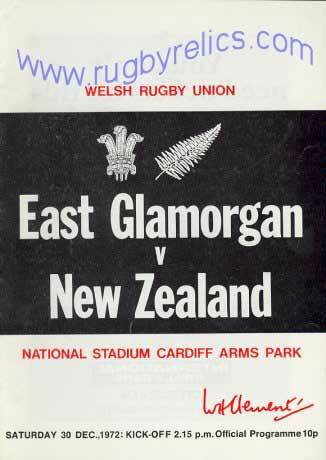 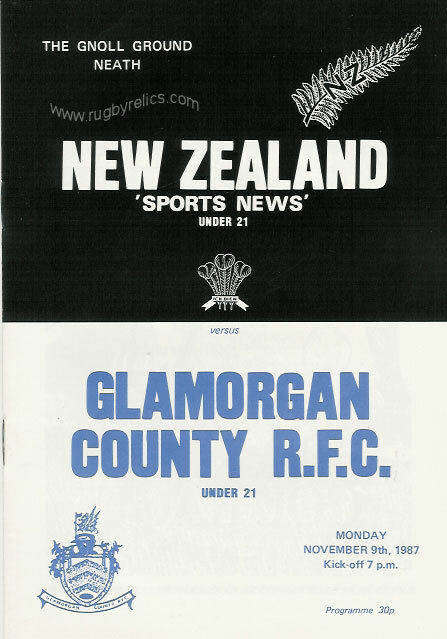 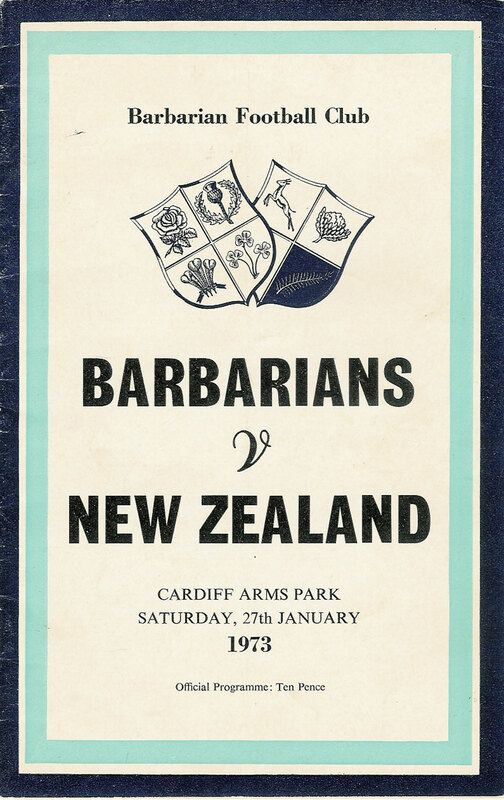 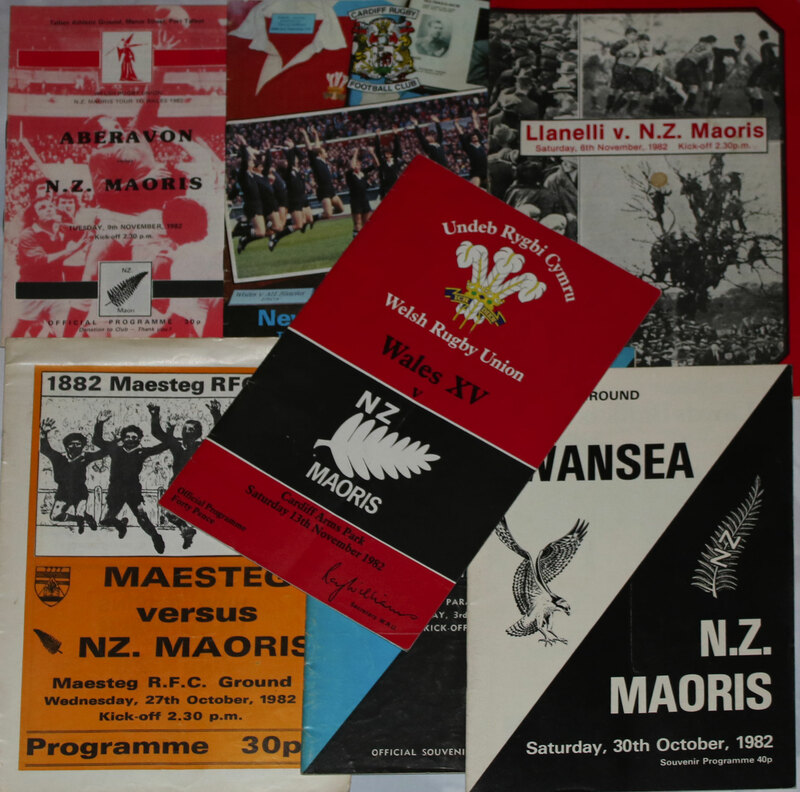 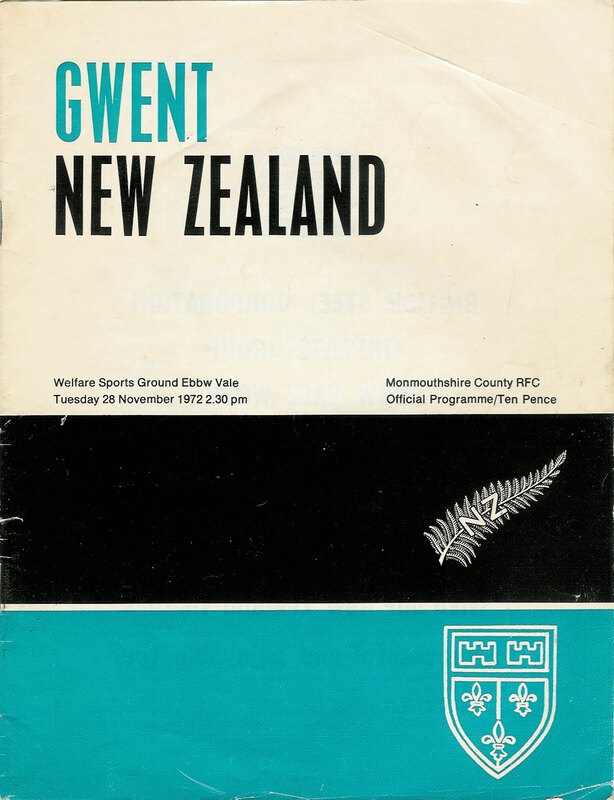 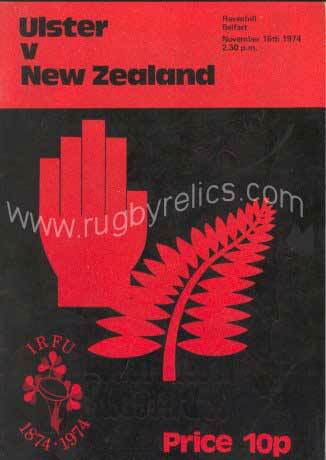 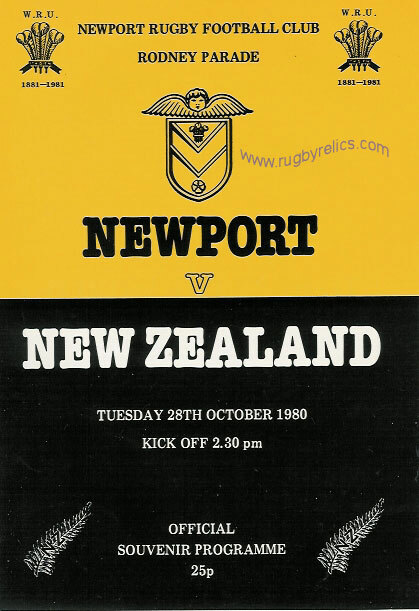 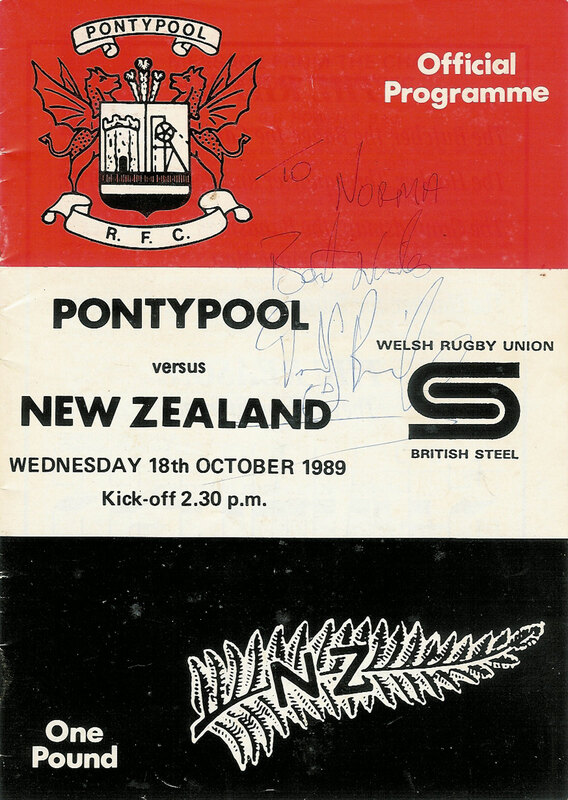 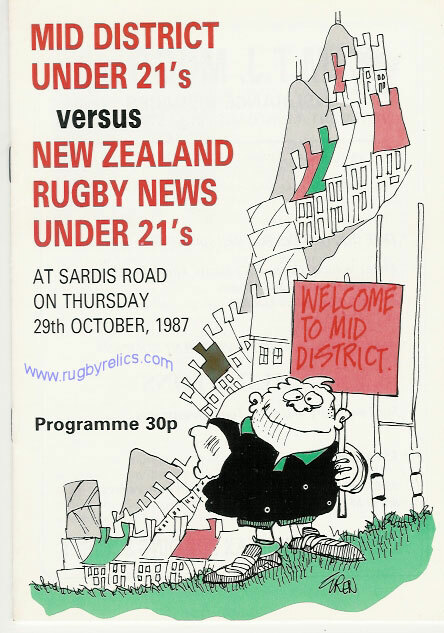 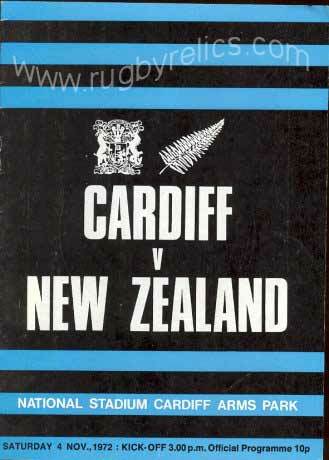 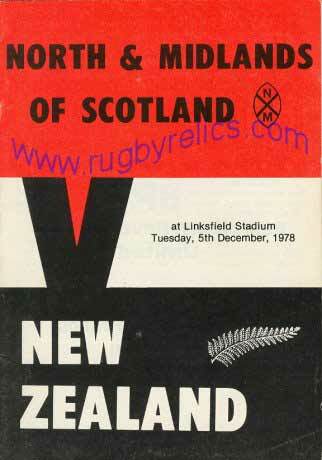 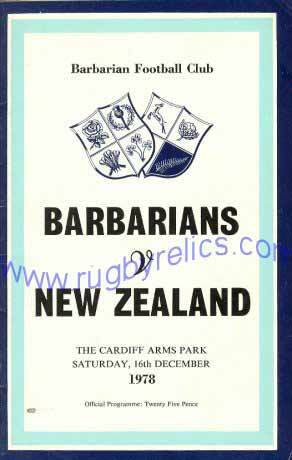 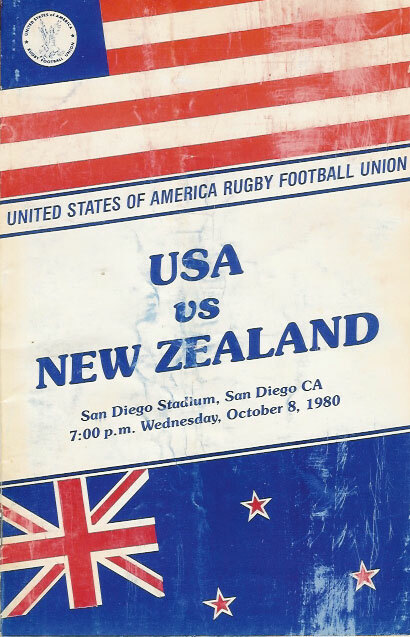 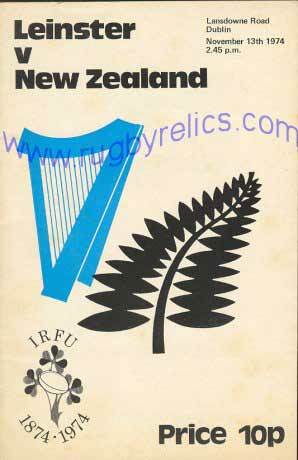 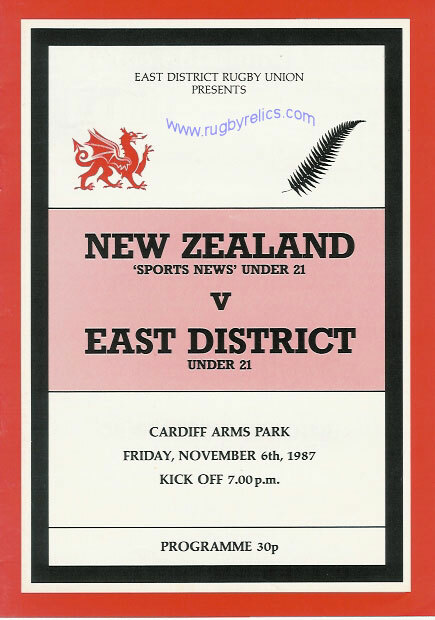 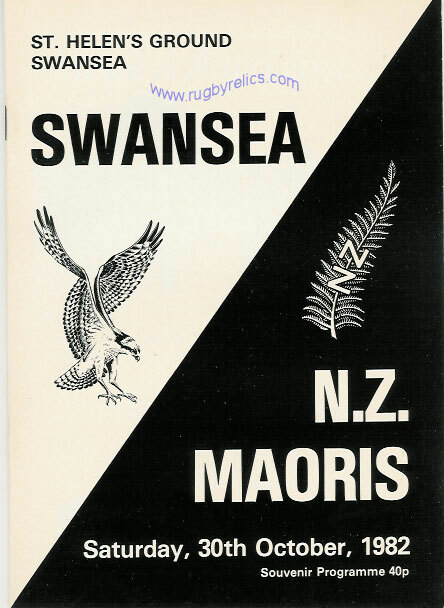 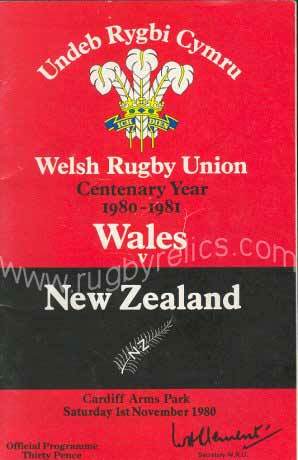 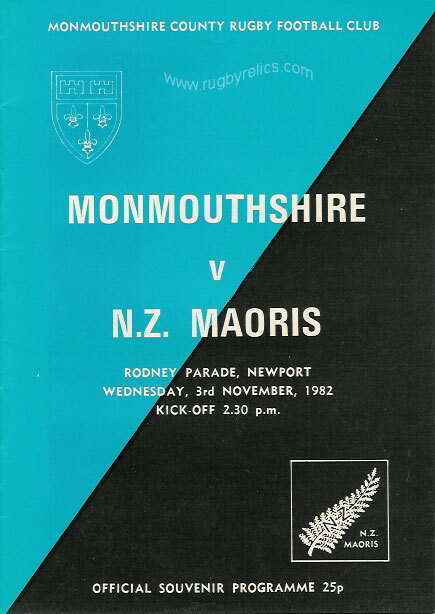 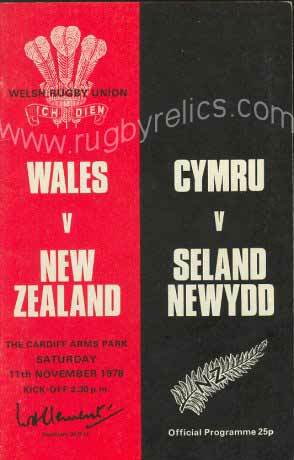 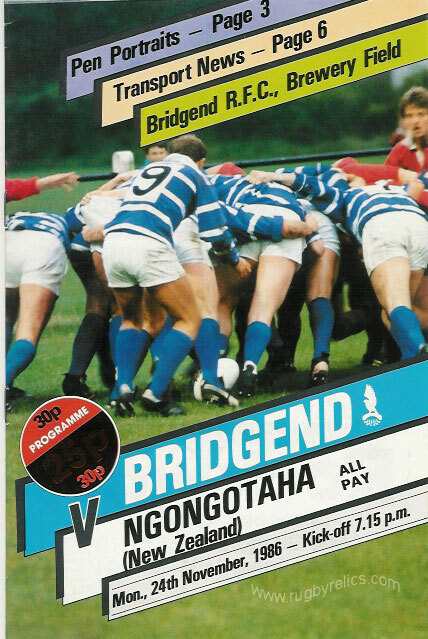 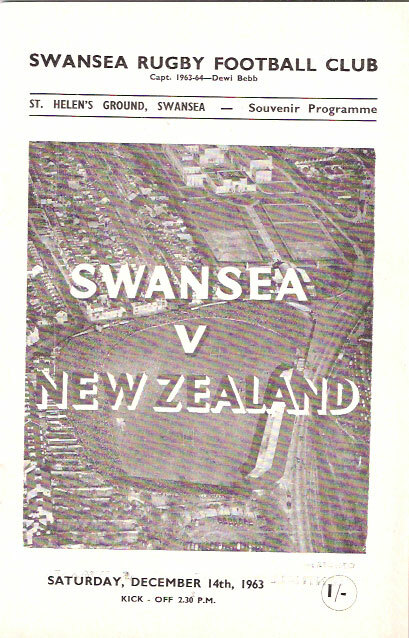 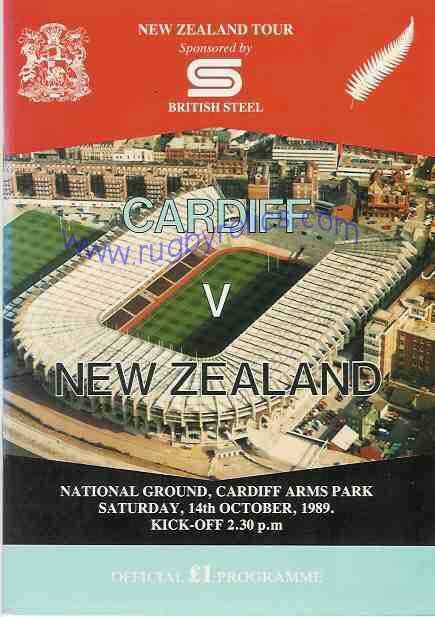 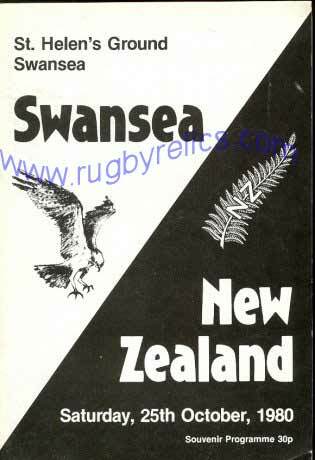 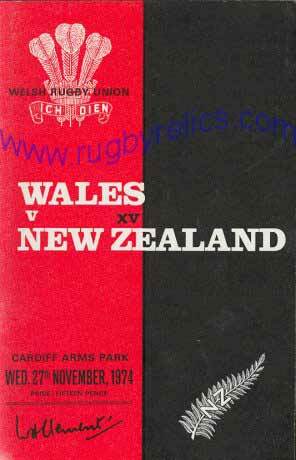 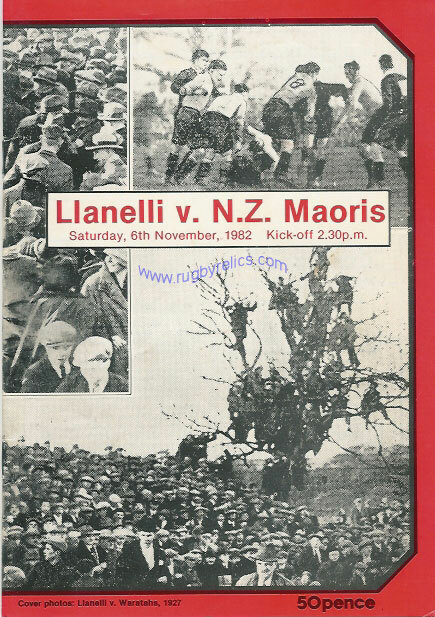 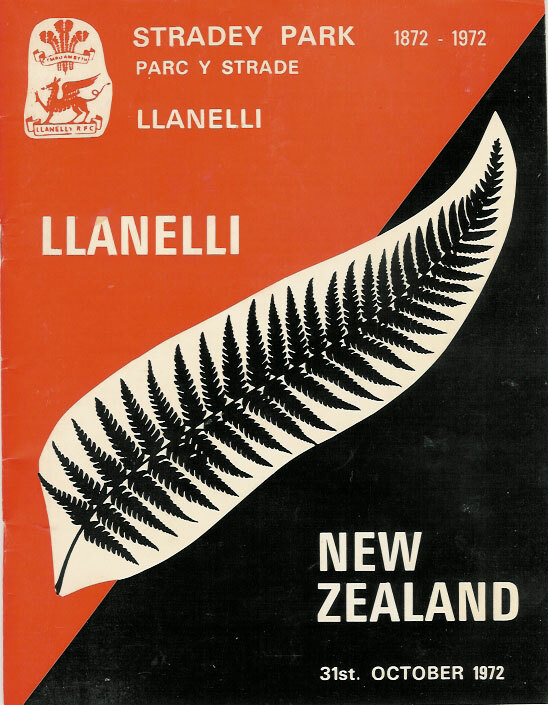 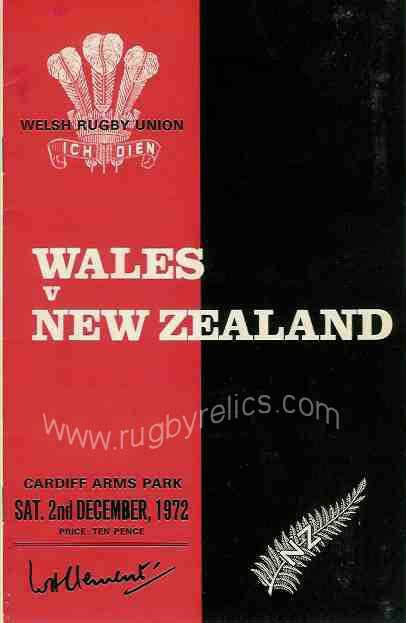 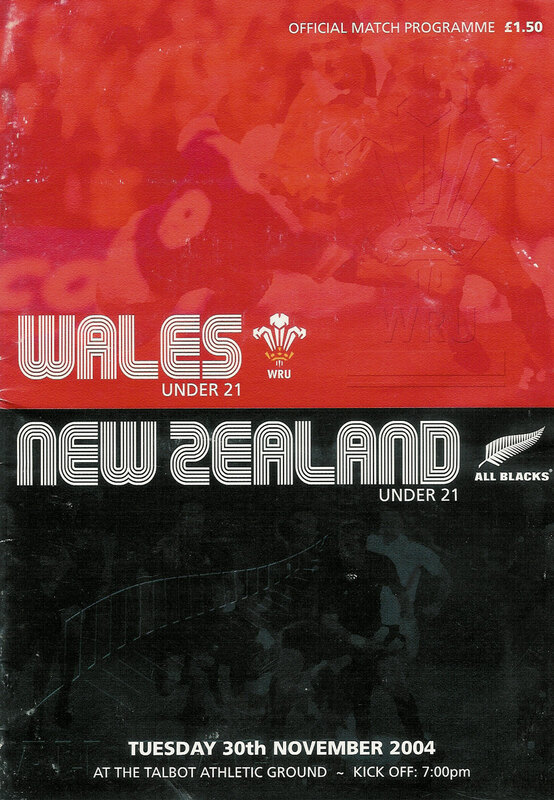 New Zealand Maoris tour 1982 - all 7 programmes from the matches in Wales. 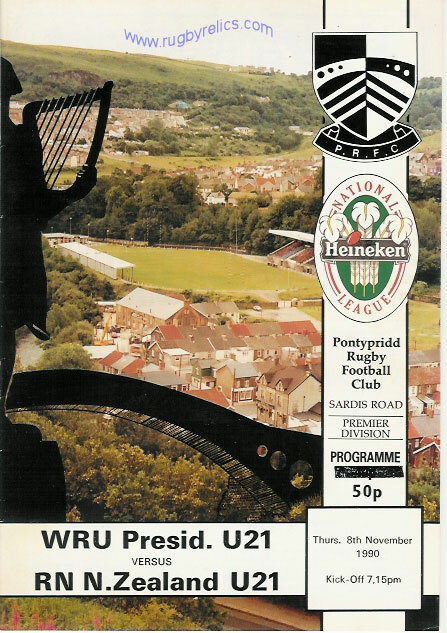 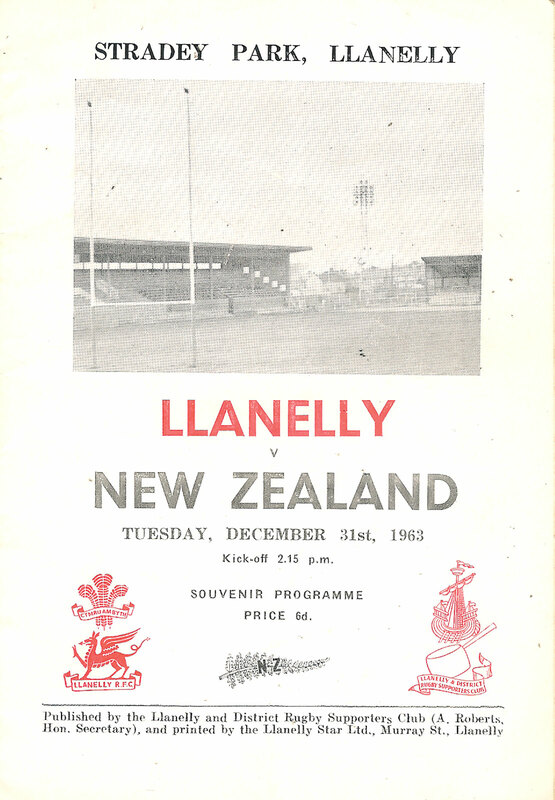 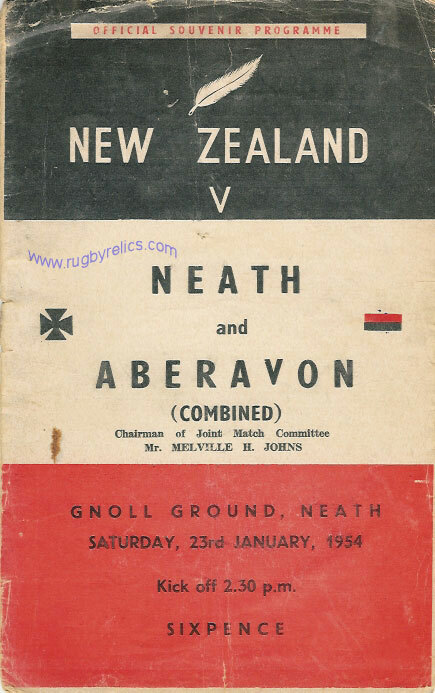 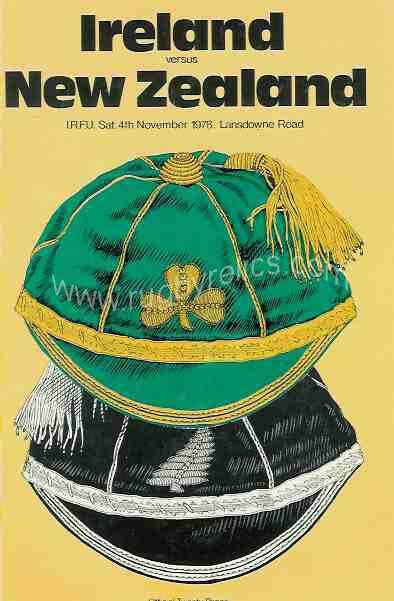 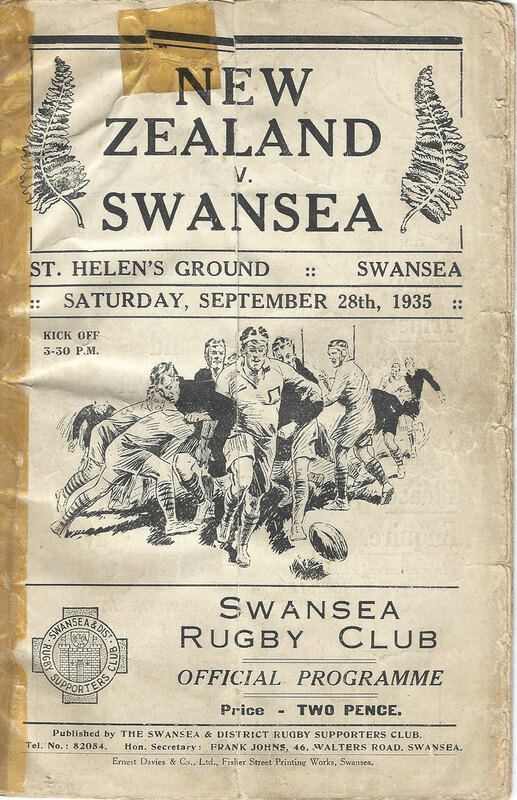 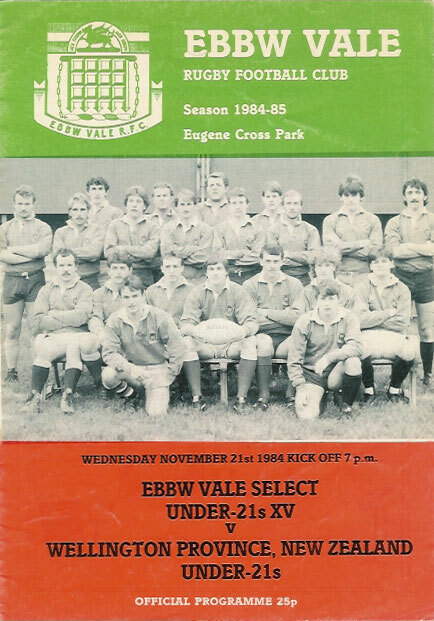 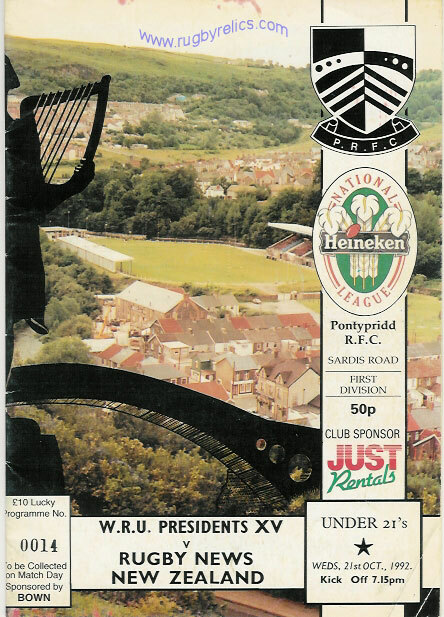 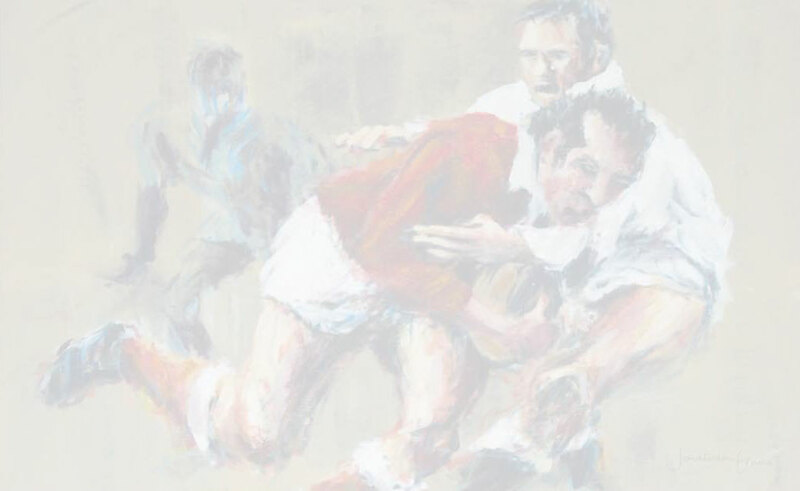 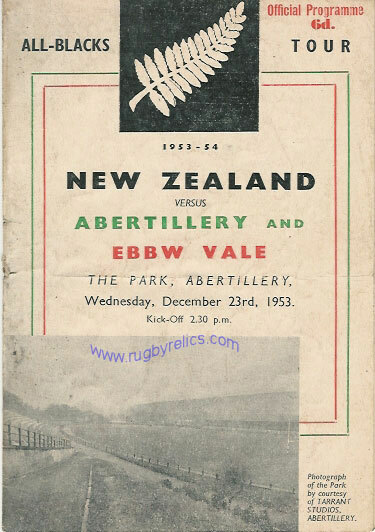 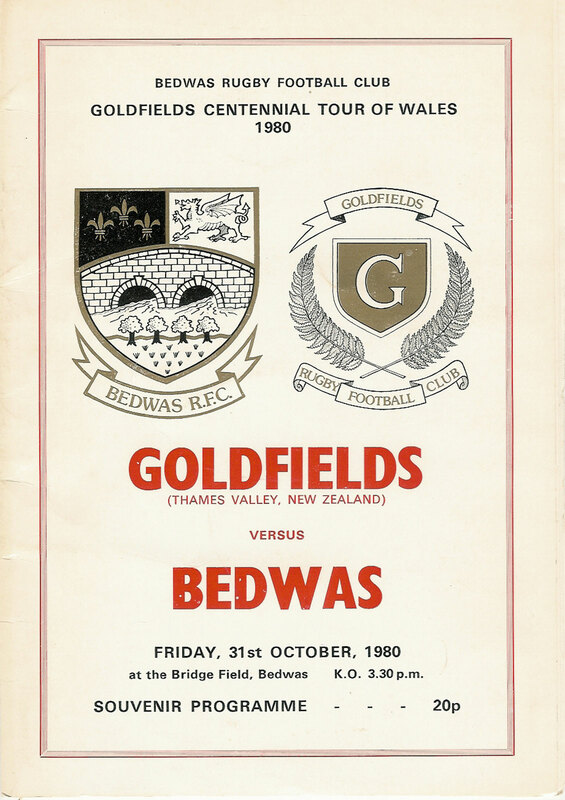 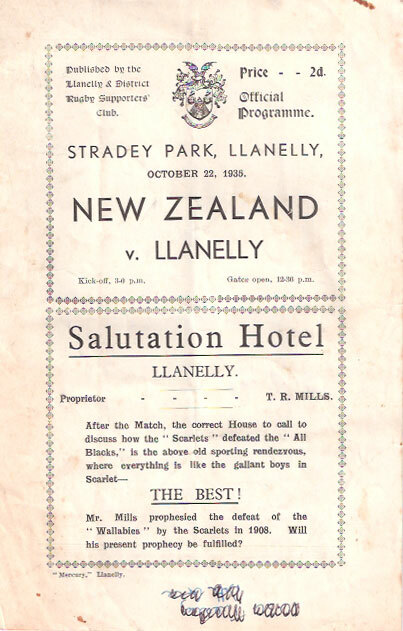 The programmes included in this set are for matches against Aberavon, Cardiff, Llanelli, Maesteg, Monmouthshire, Swansea & Wales. 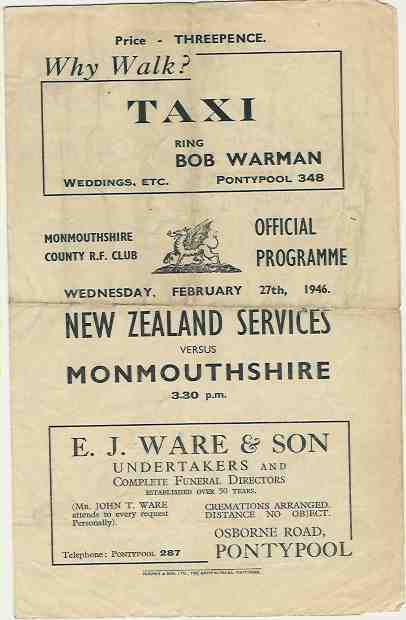 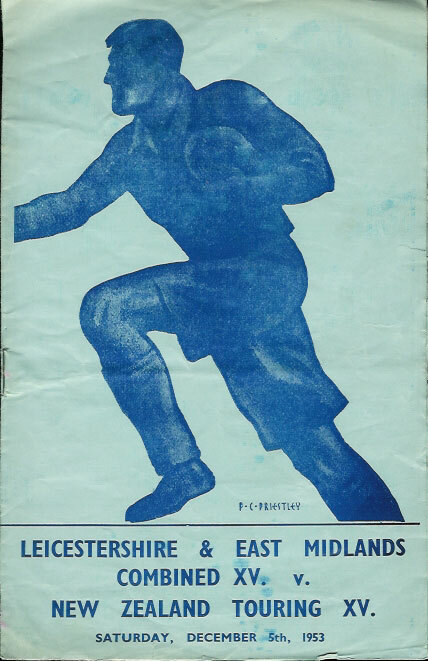 All programmes are in good to very good condition.